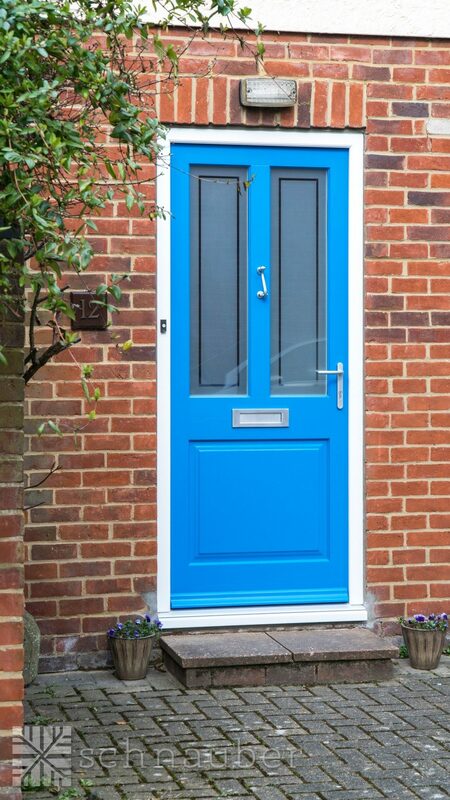 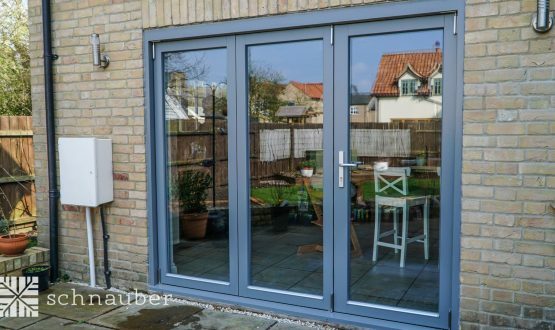 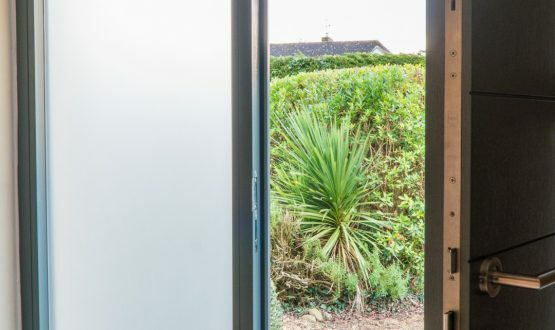 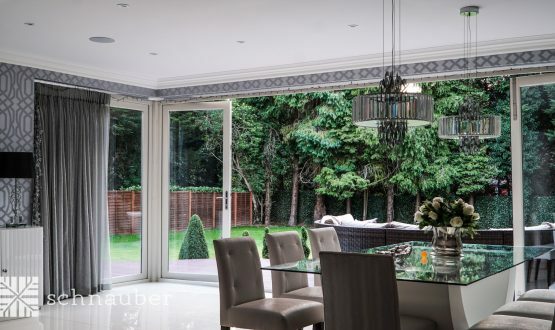 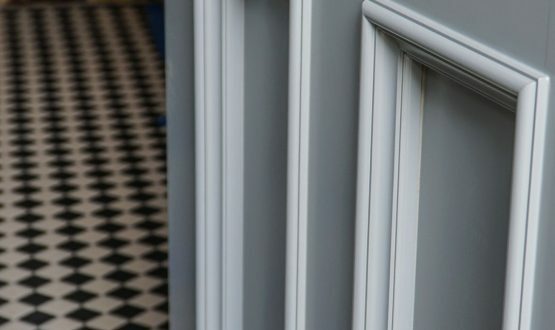 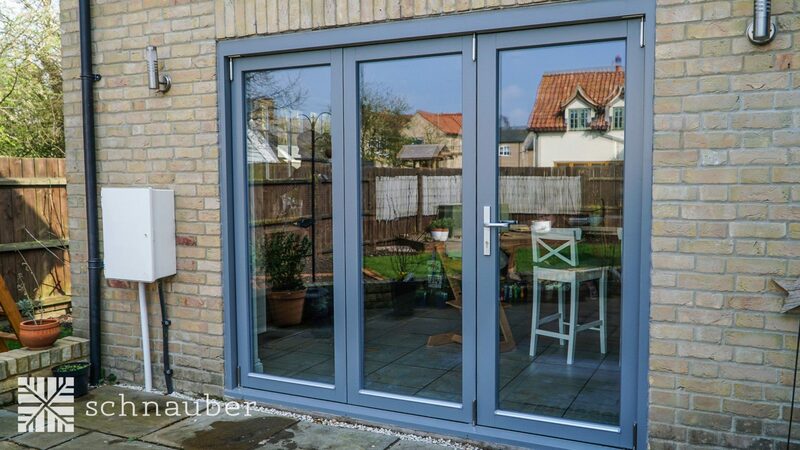 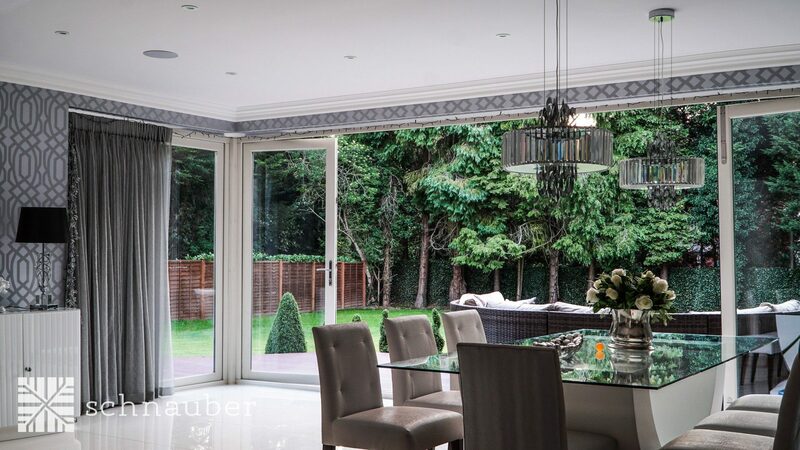 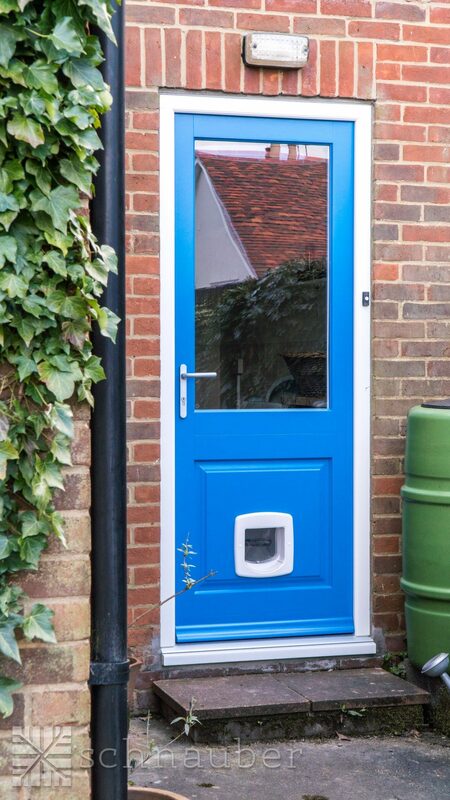 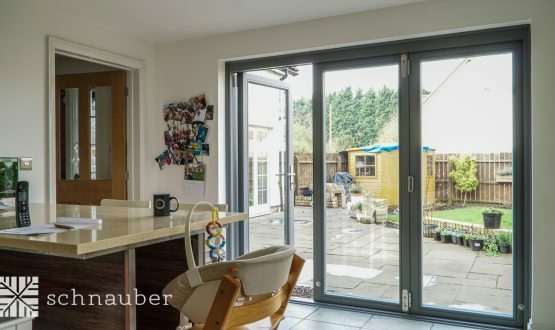 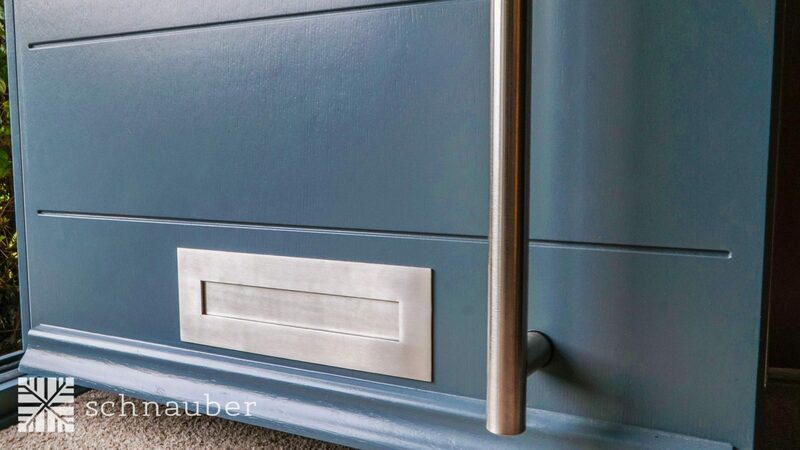 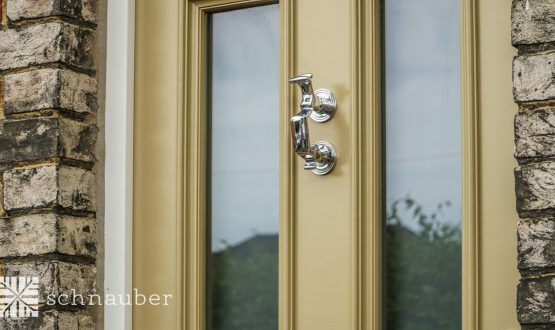 Schnauber bespoke entrance doors are available with numerous glazing and panel options, a vast selection of colours, ironmongery and LVL laminates. 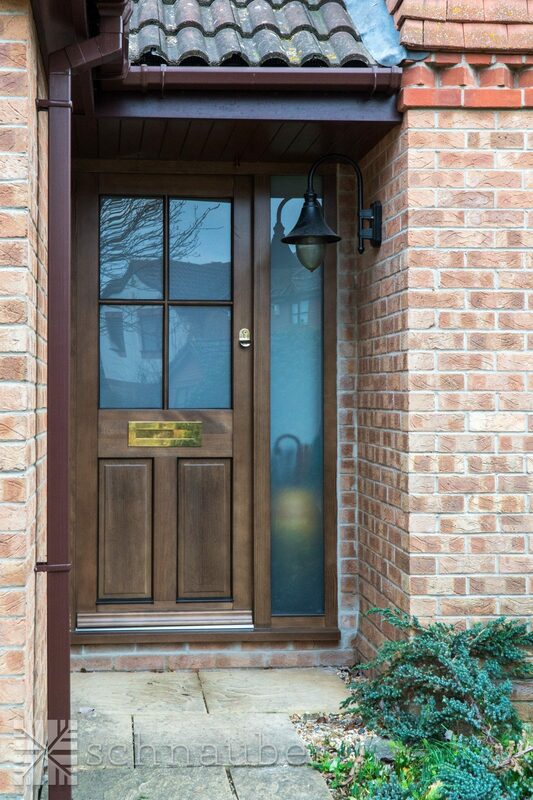 Our timber entrance doors are not only beautiful and classy, but they are designed and built to last and to withstand harsh weather. 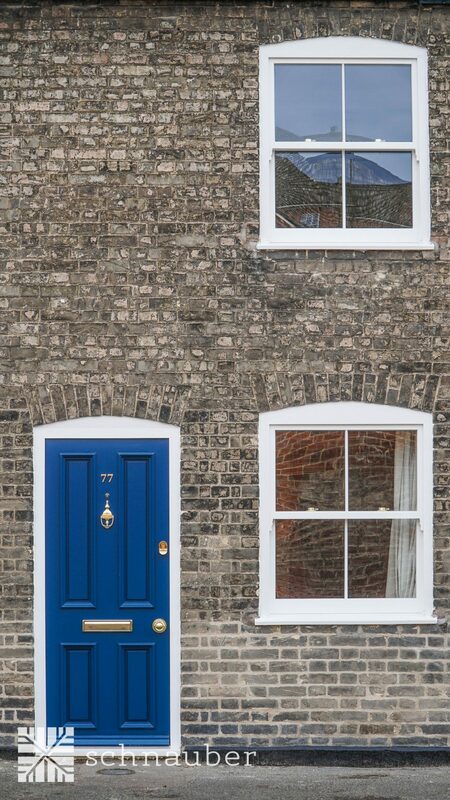 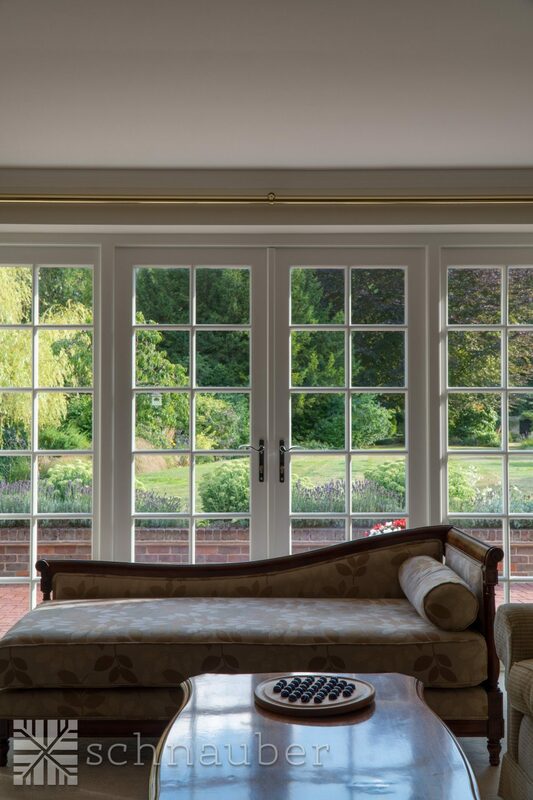 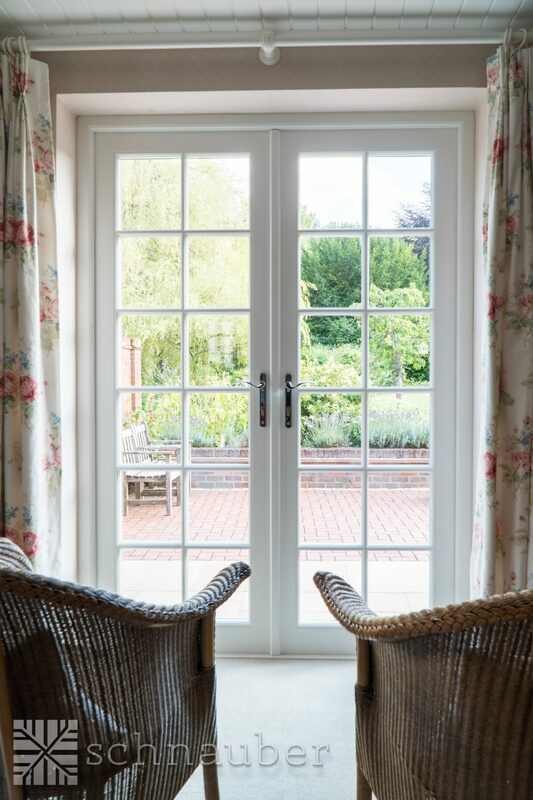 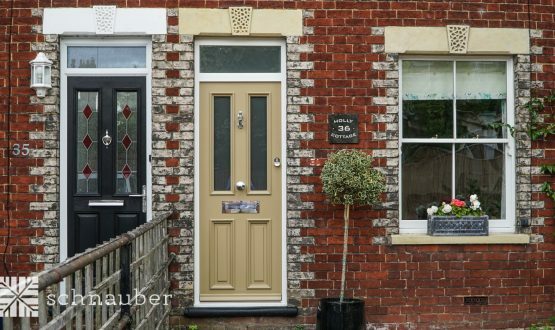 Whether you want a classic, traditional or contemporary style, we tailor your door to your specification. 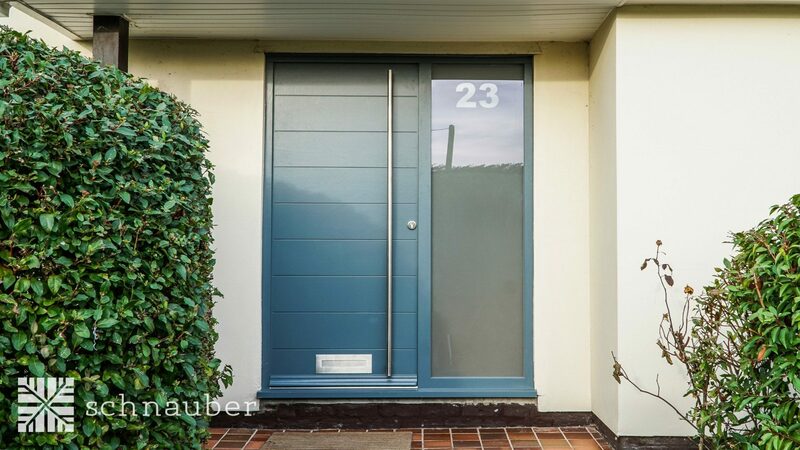 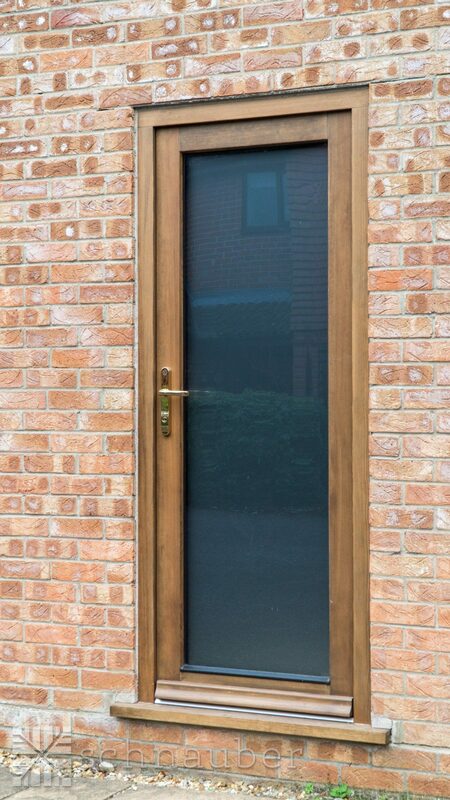 A timber entrance door from Schnauber is different, from the wooden frame to the locking system and glazing. 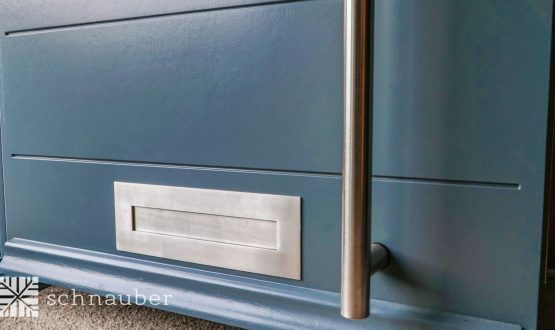 The “Schnauber difference” can be attributed to our team of highly talented craftsmen and the time we invest in sourcing the best species of wood from sustainable forests. 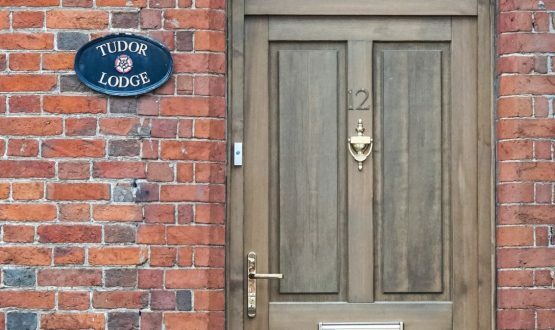 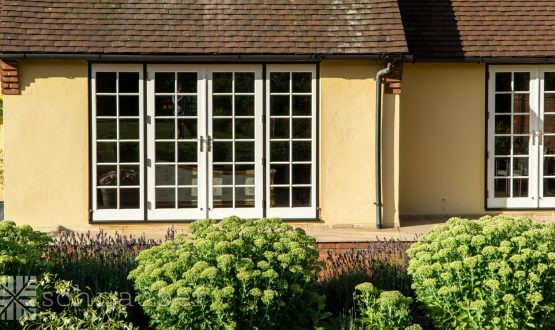 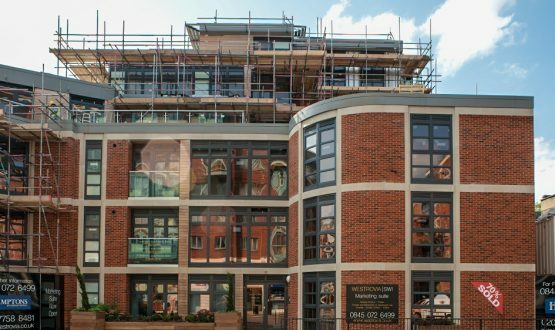 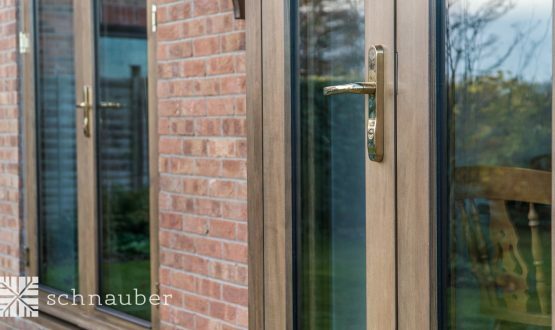 By using sophisticated German engineering processes, we design our bespoke timber entrance doors with precision, making sure that the U-value is low to prevent heat transfer. 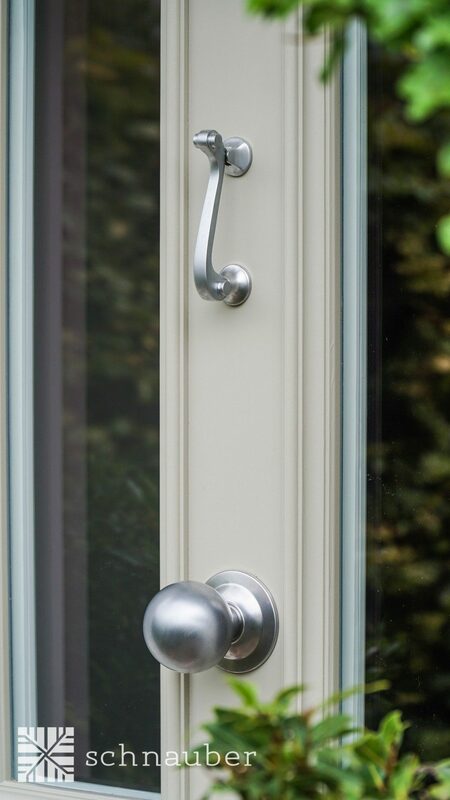 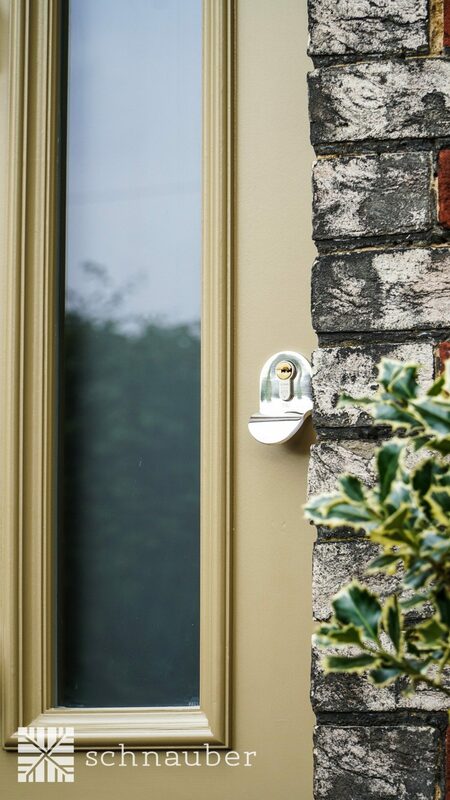 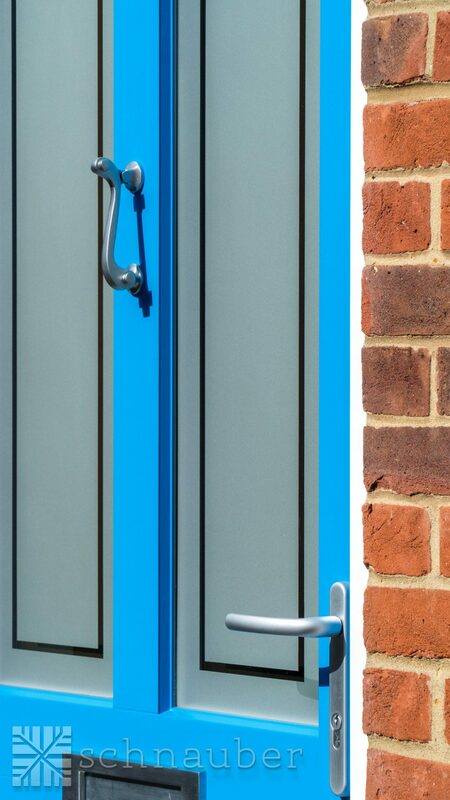 All our doors are supplied with a multi-locking point system to keep your home safe and secure. 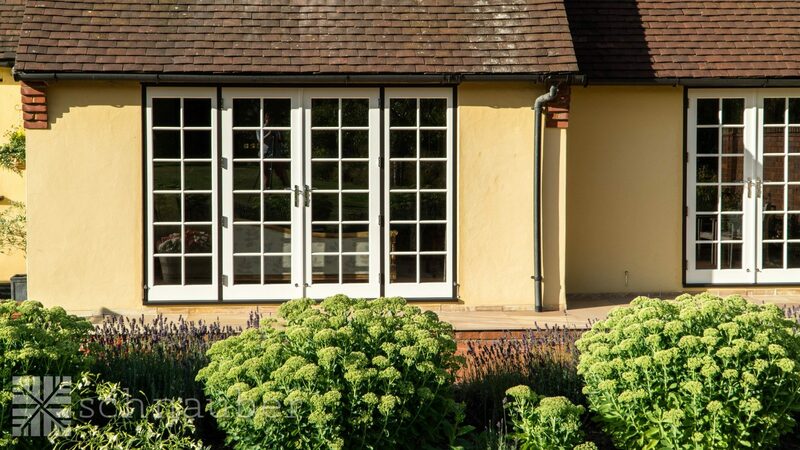 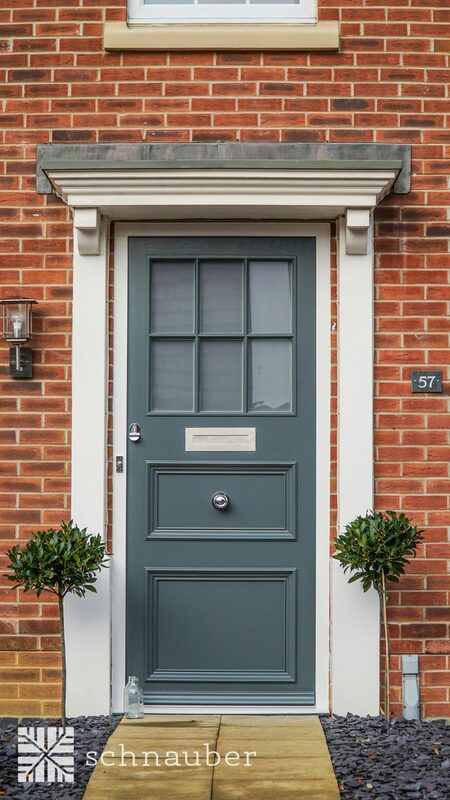 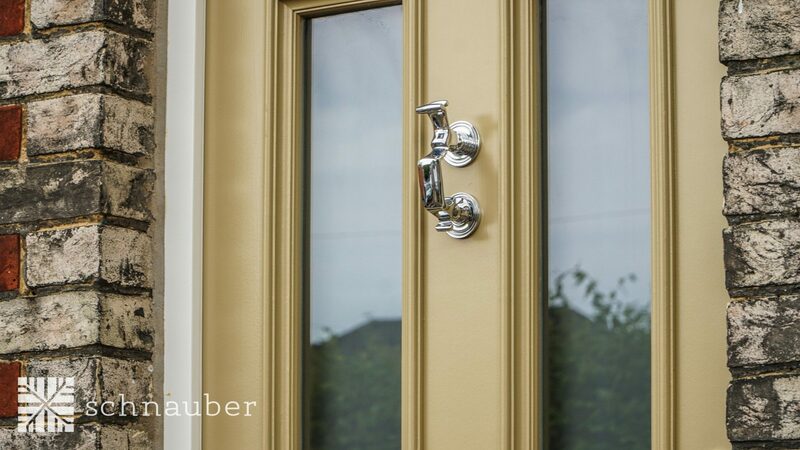 Choosing Schnauber guarantees a bespoke timber entrance door constructed to meet your needs. 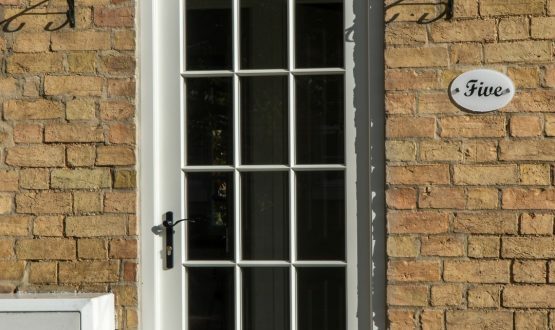 Our experienced team of craftsmen are proficient in discerning whatever design you have in mind. 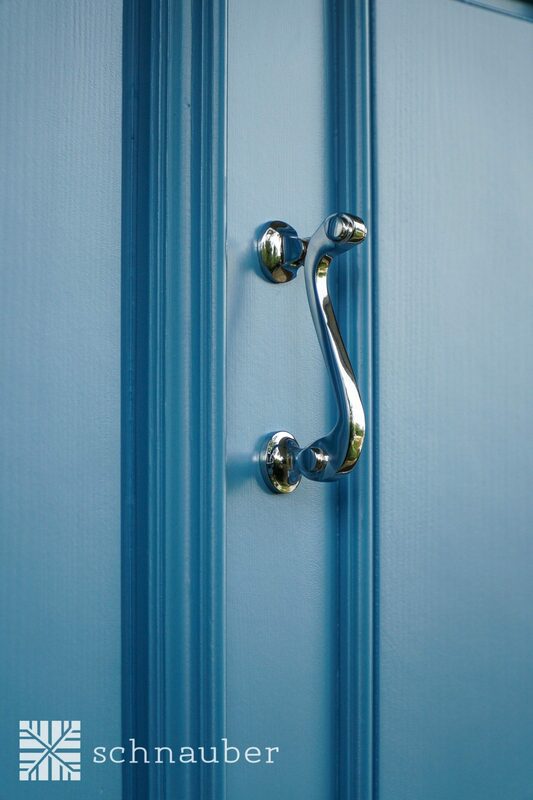 We use water-resistant sealants and microporous coatings to minimize your maintenance costs. 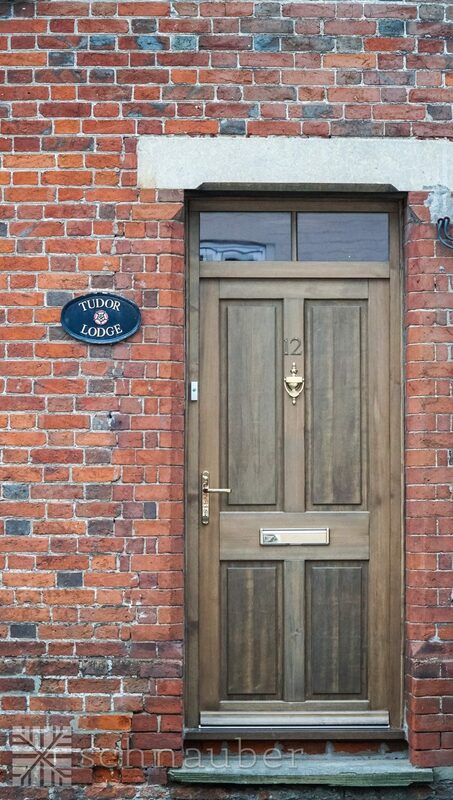 What is a timber entrance door? 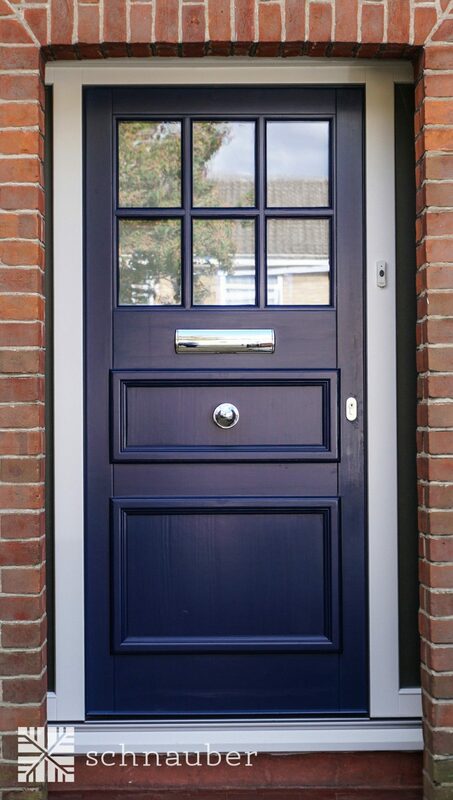 A timber entrance door provides an ideal entry point for your home. 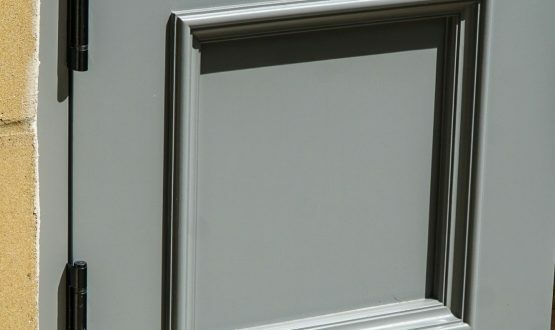 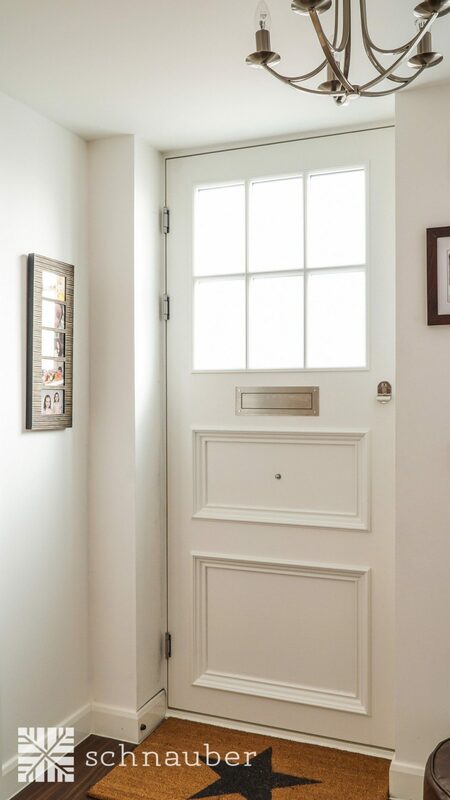 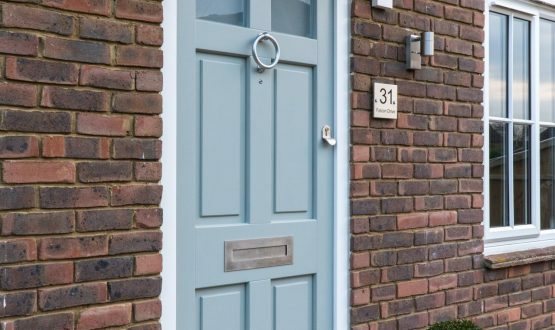 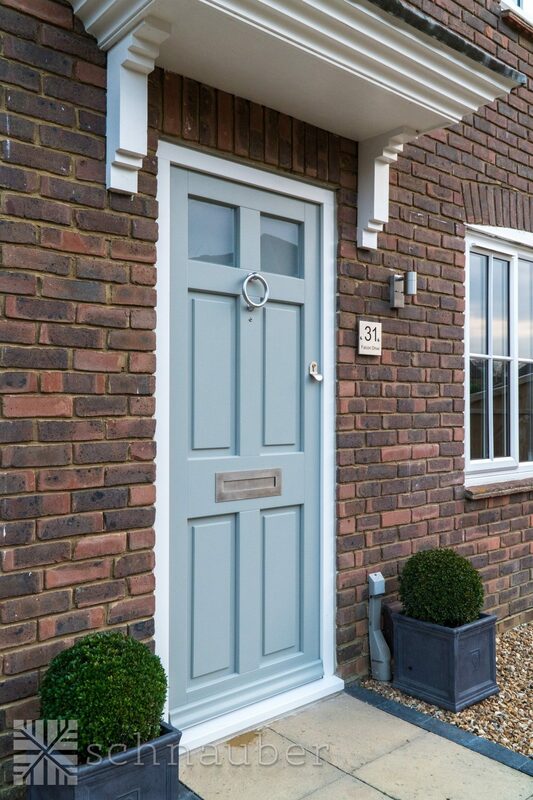 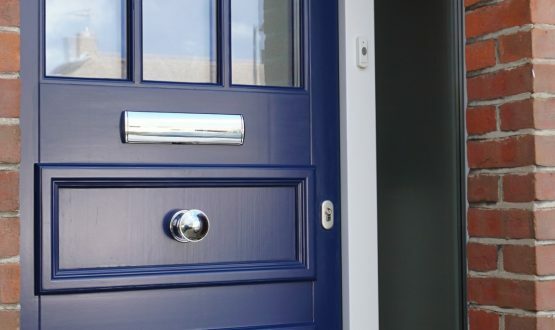 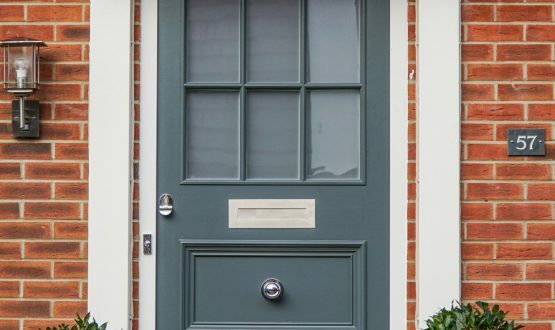 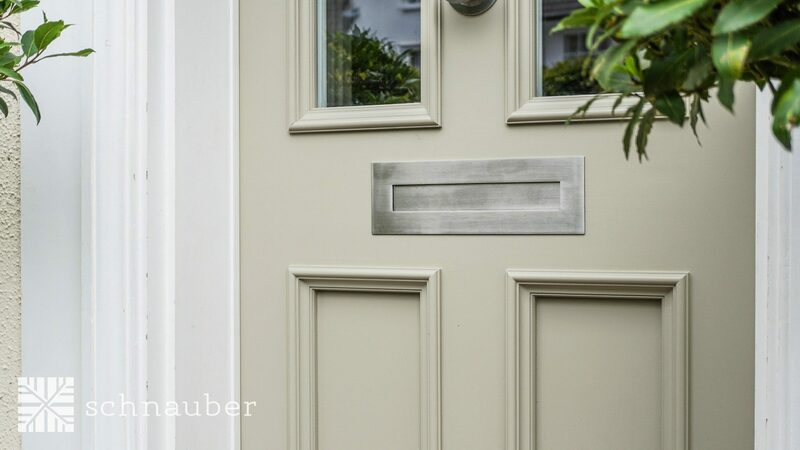 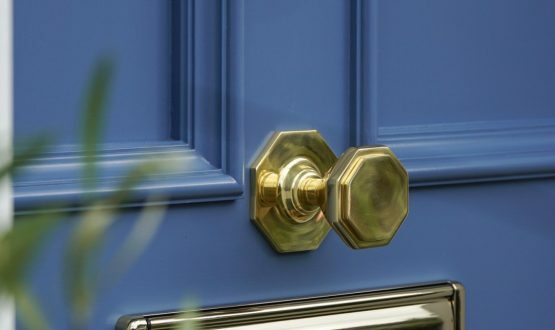 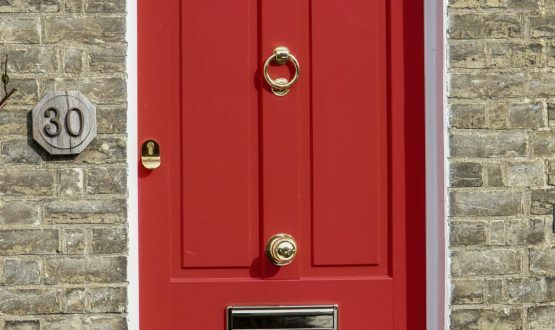 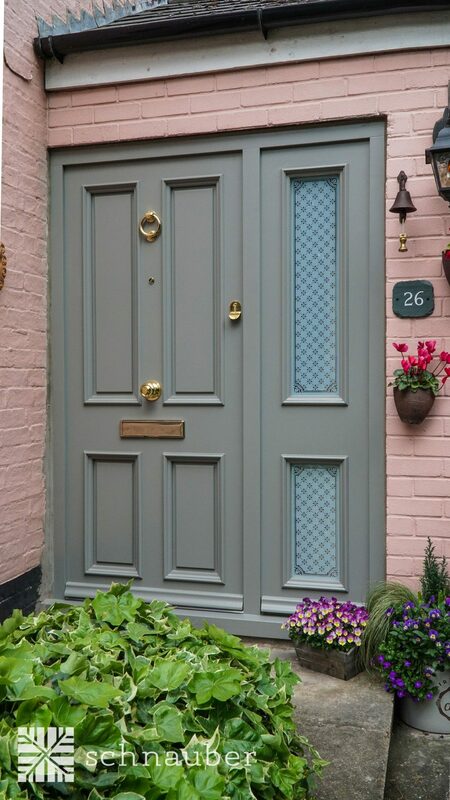 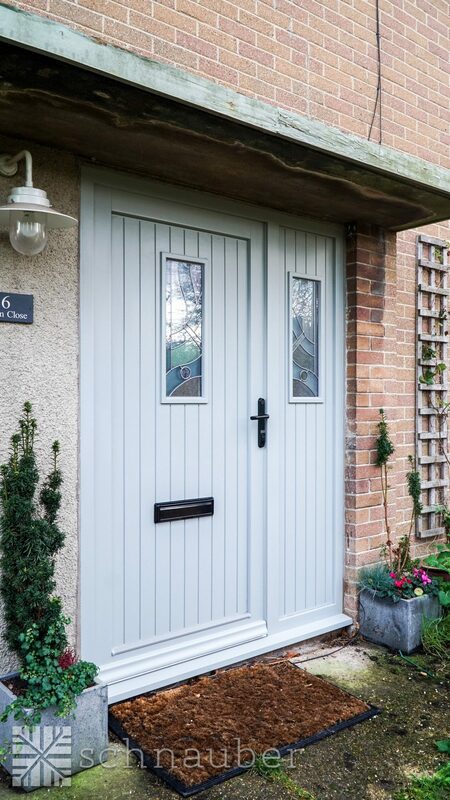 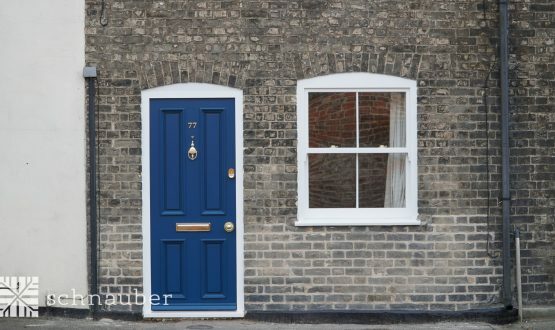 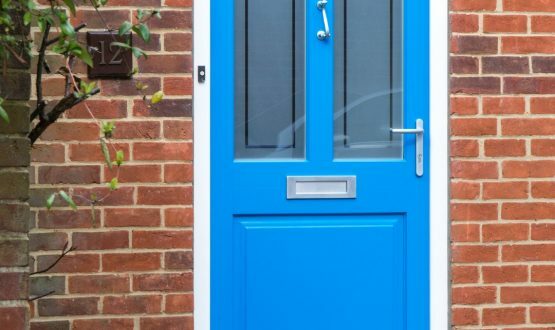 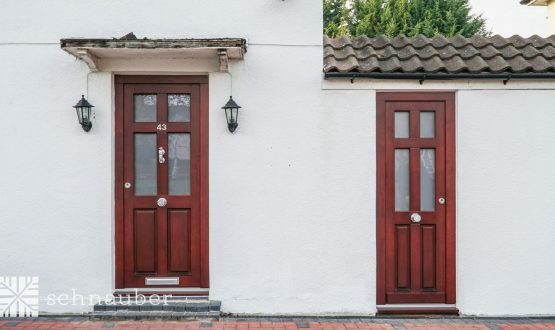 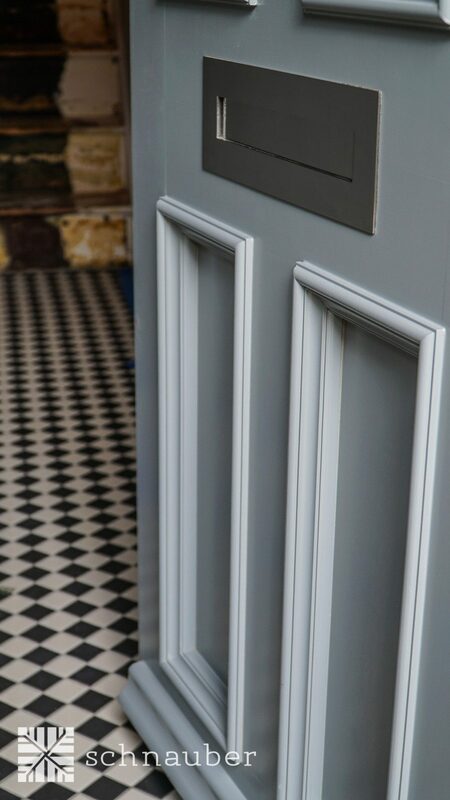 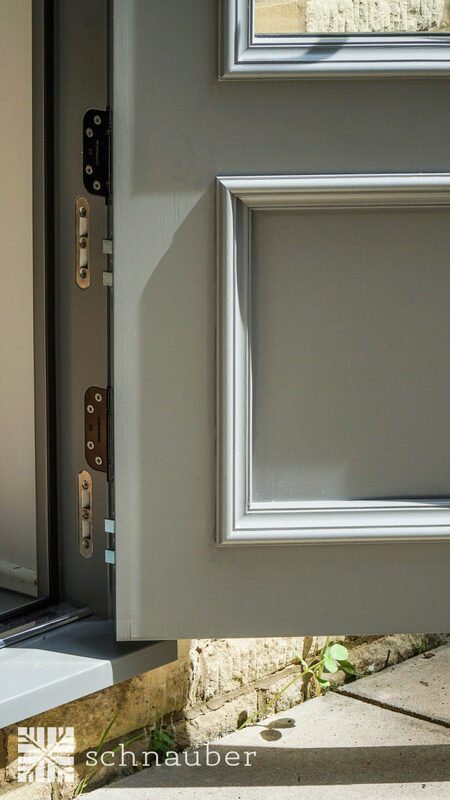 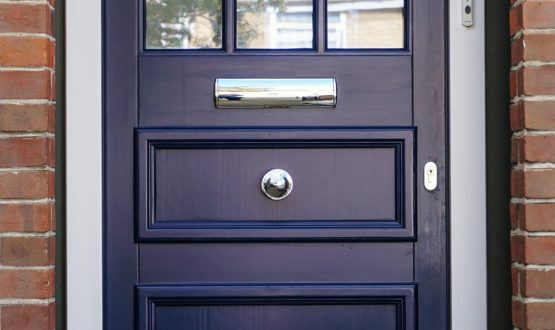 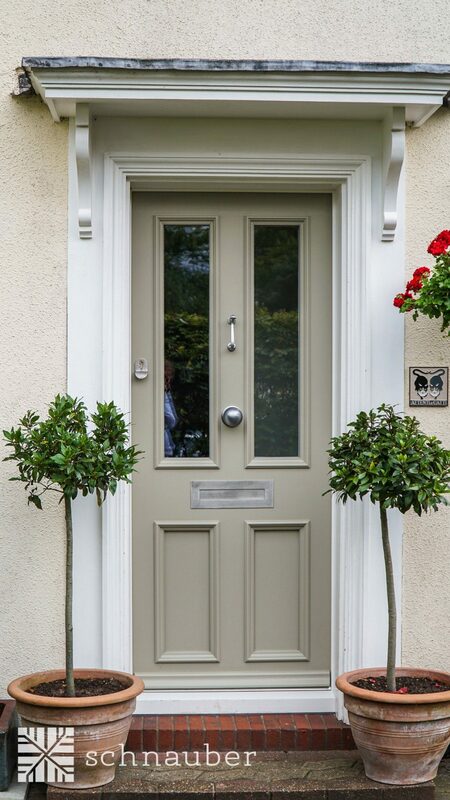 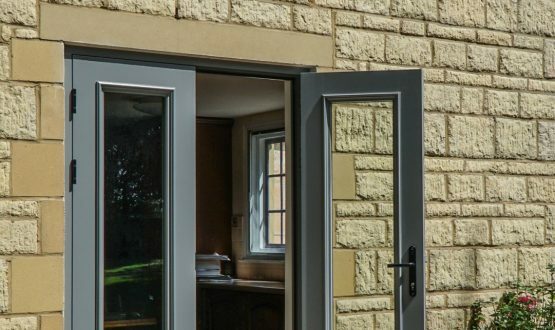 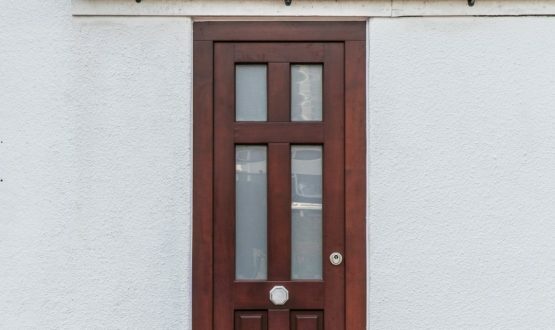 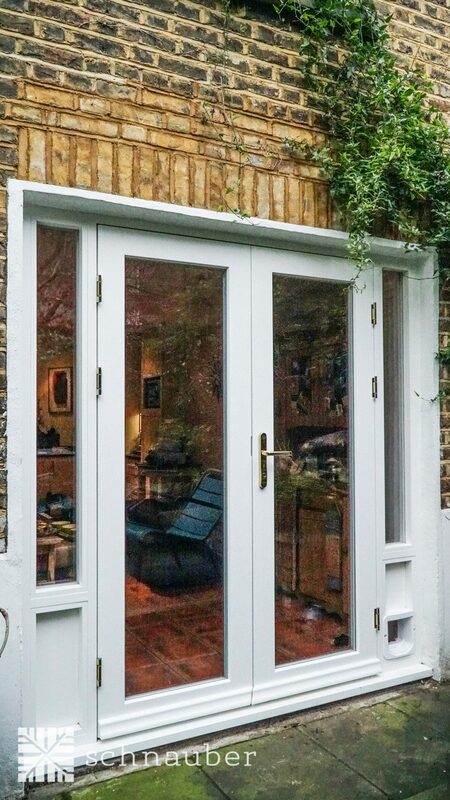 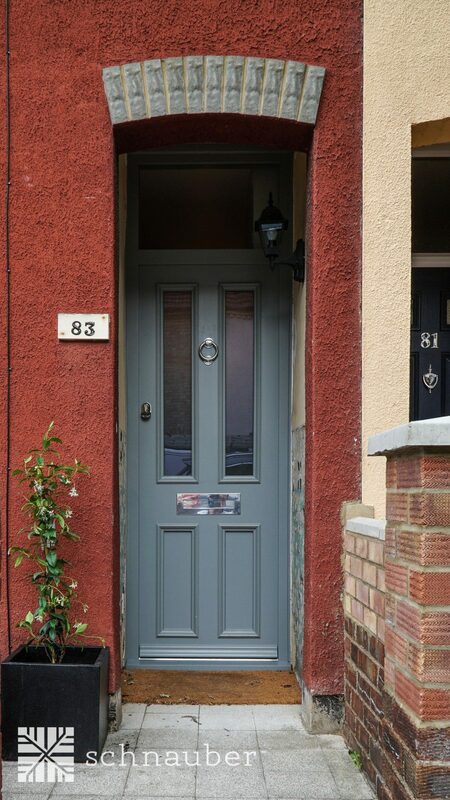 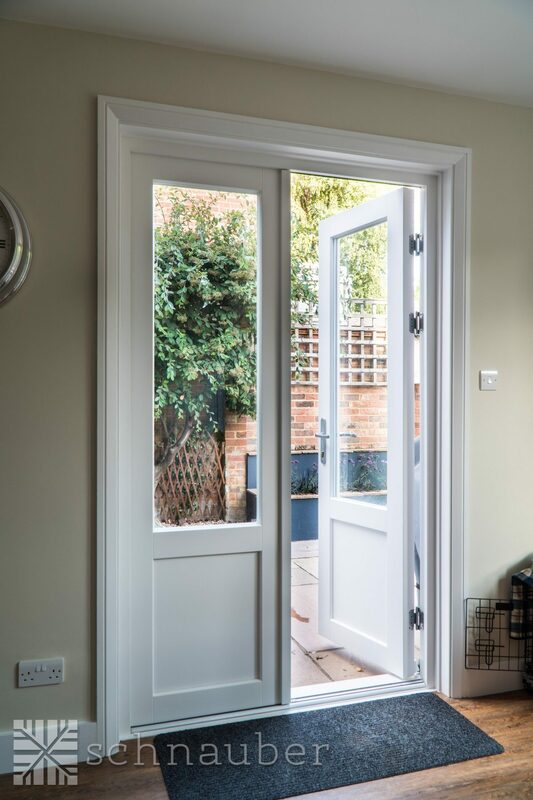 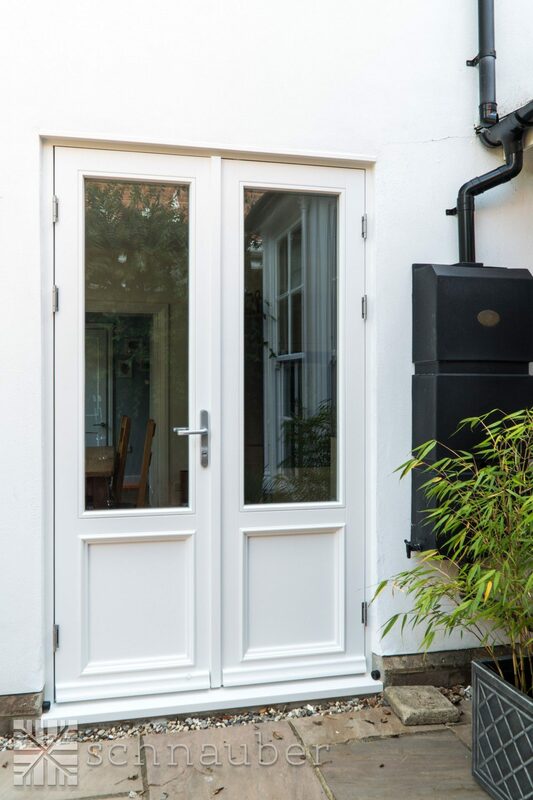 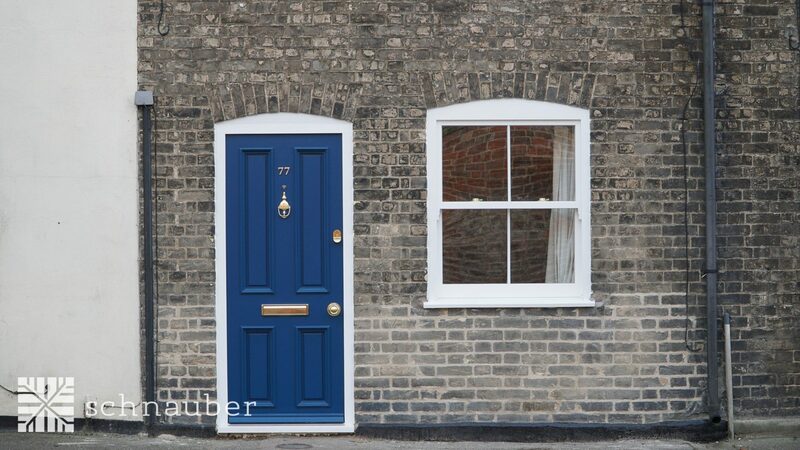 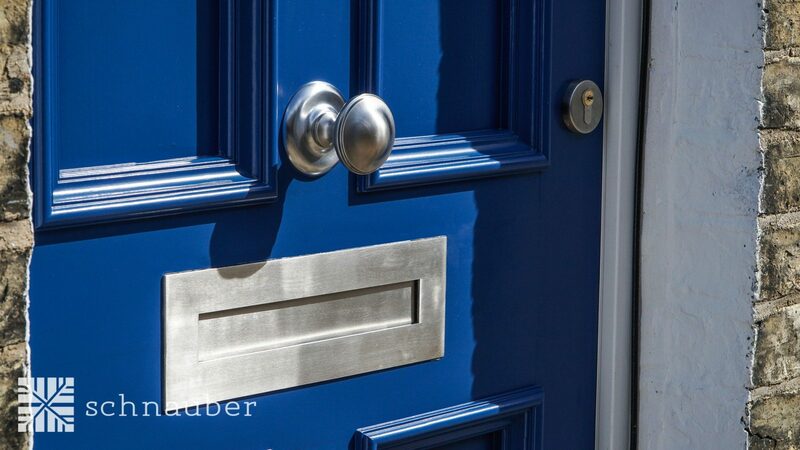 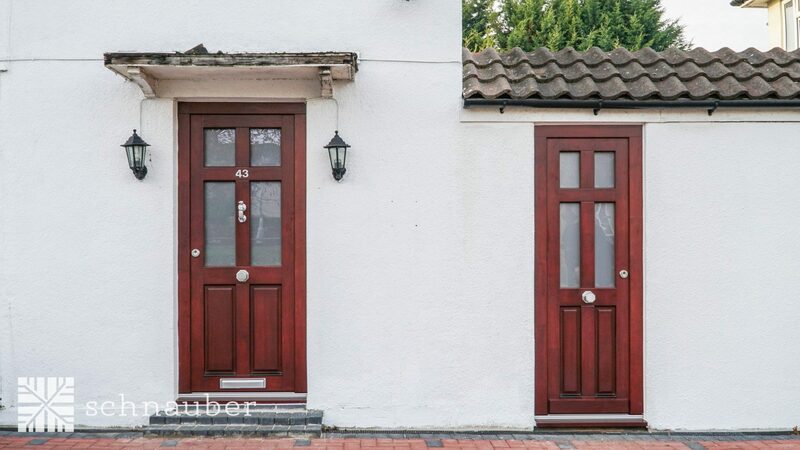 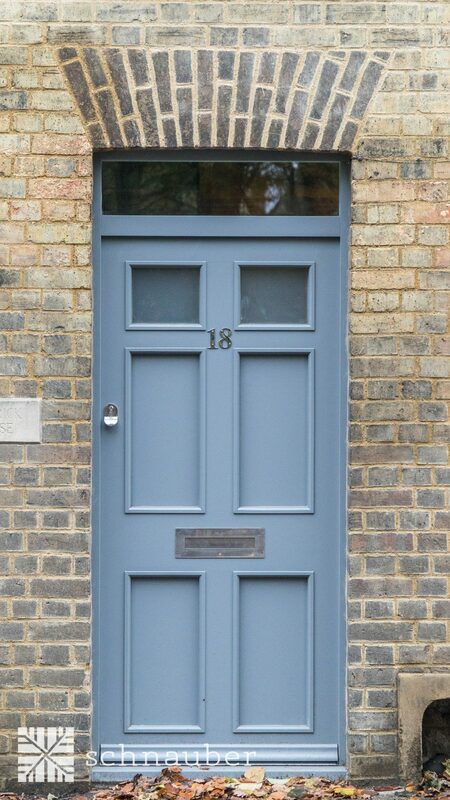 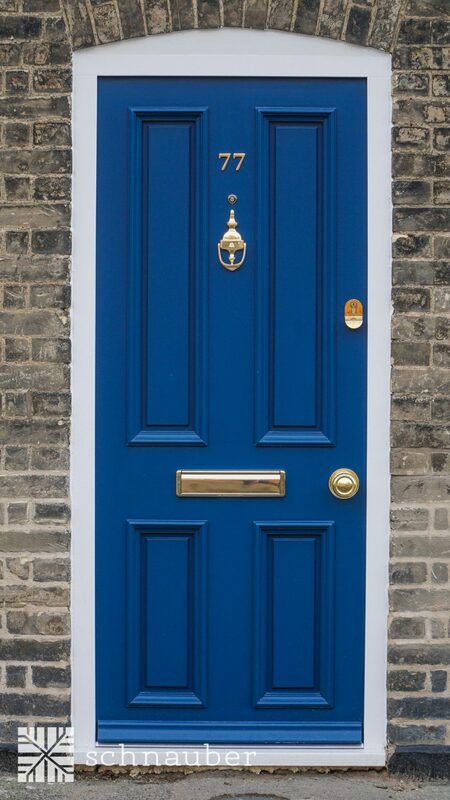 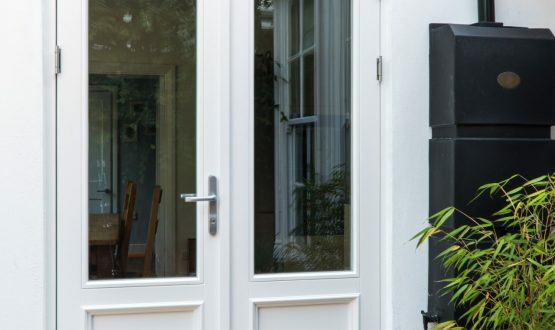 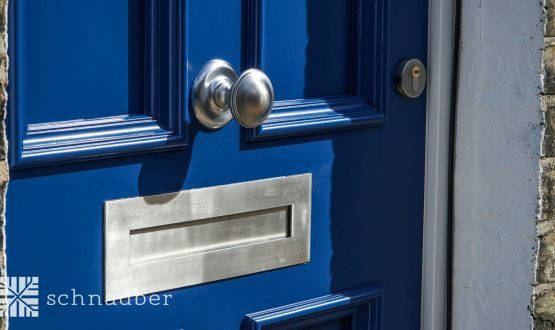 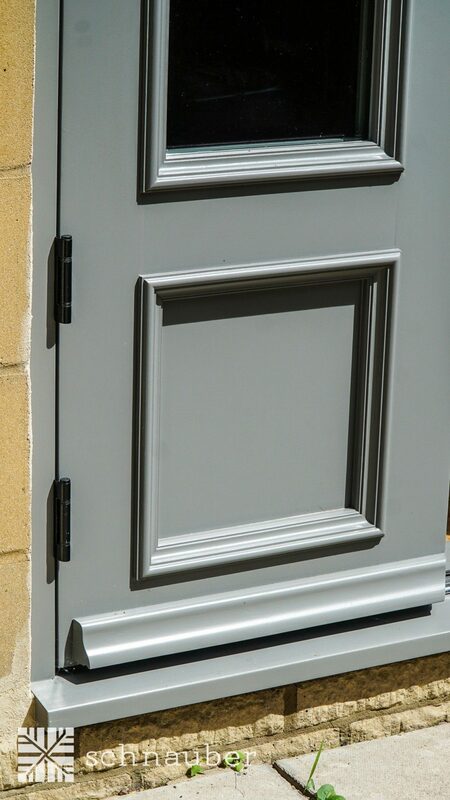 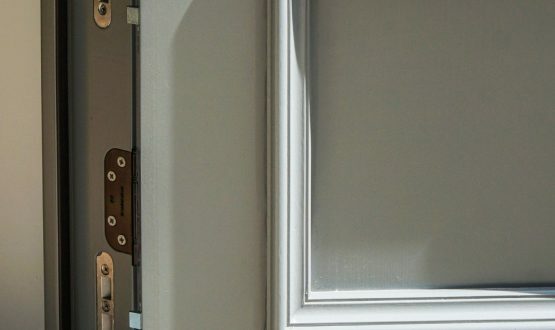 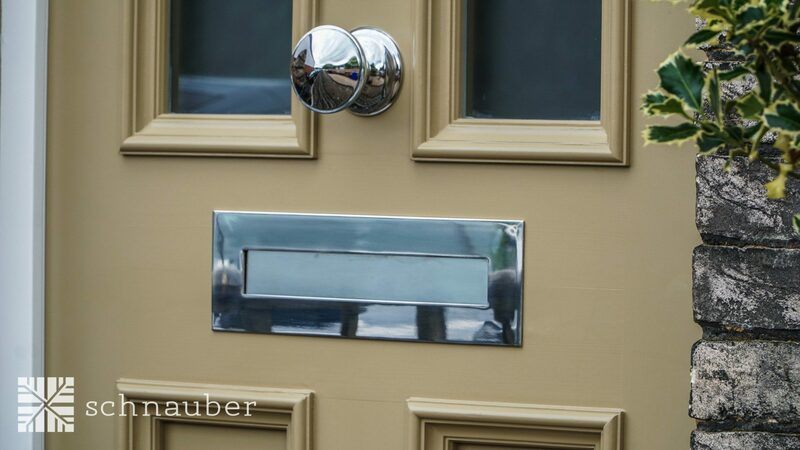 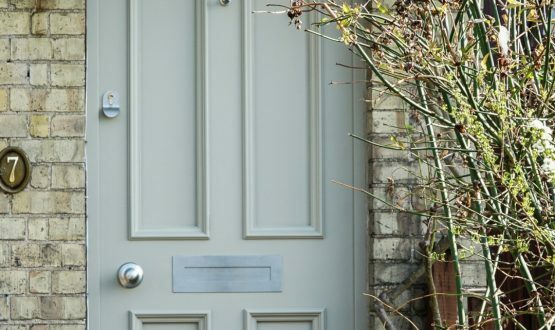 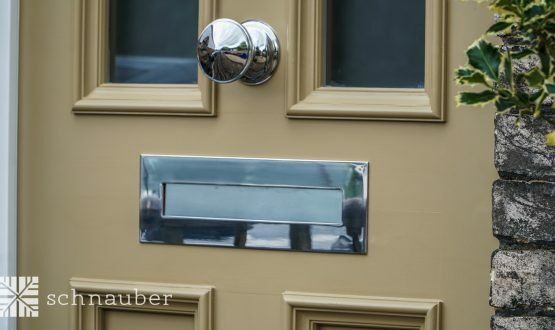 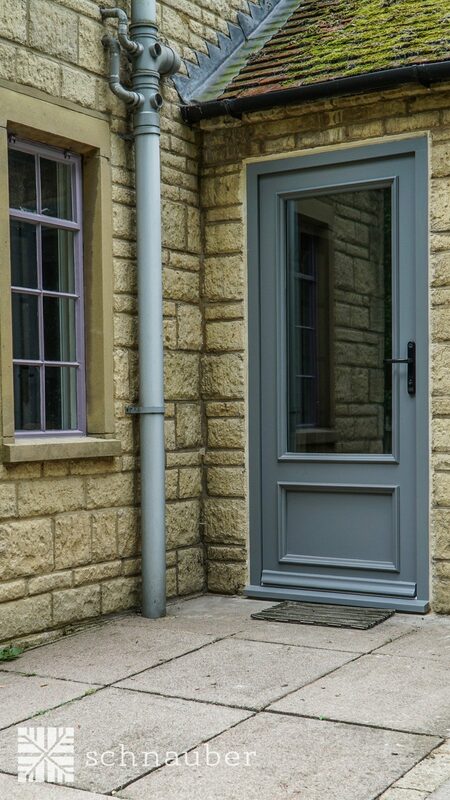 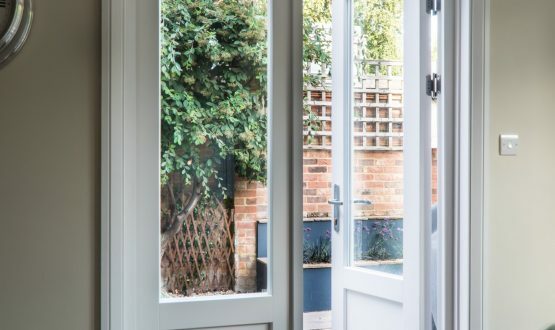 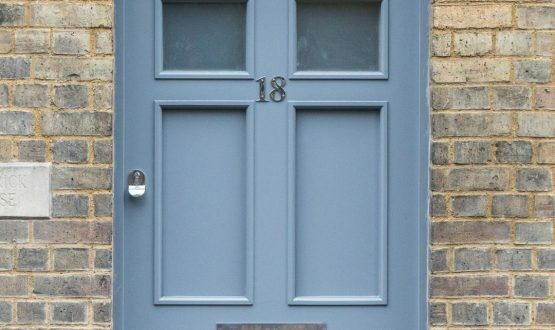 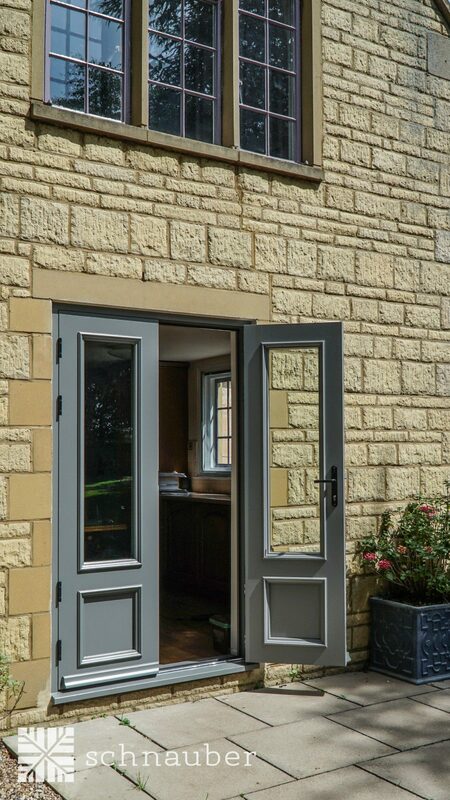 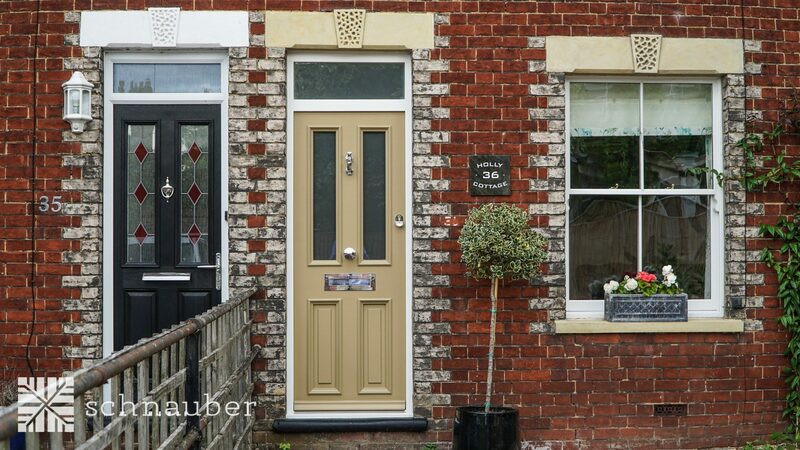 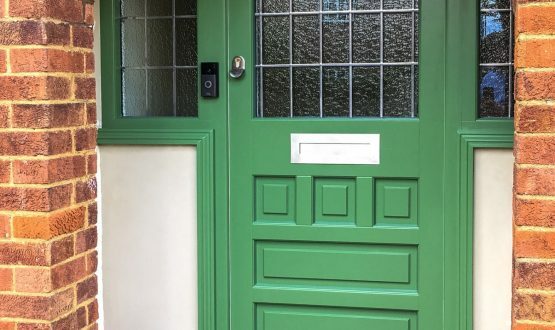 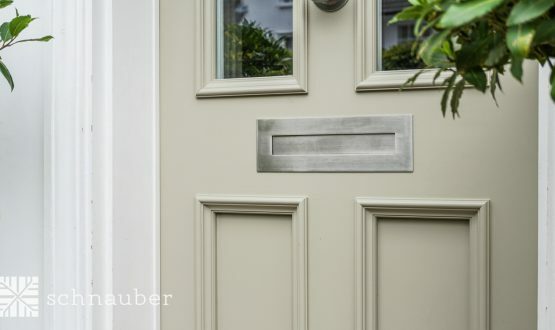 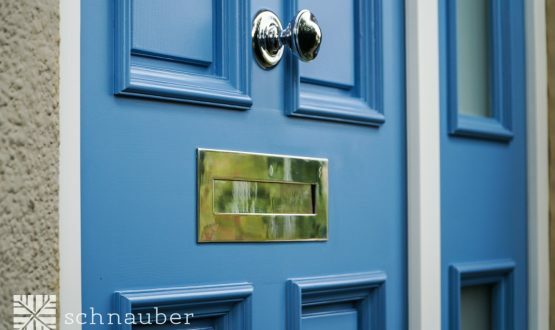 Timber entrance doors from Schnauber are constructed using finger and box joint technology and then treated, stained or painted using the latest environmentally friendly finishes. 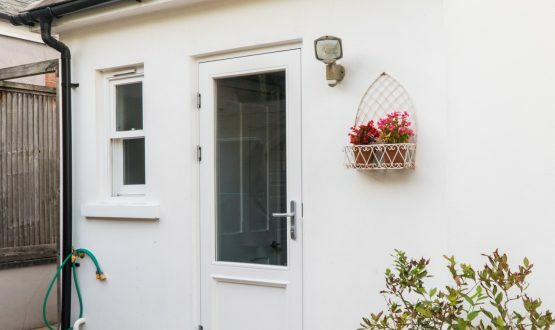 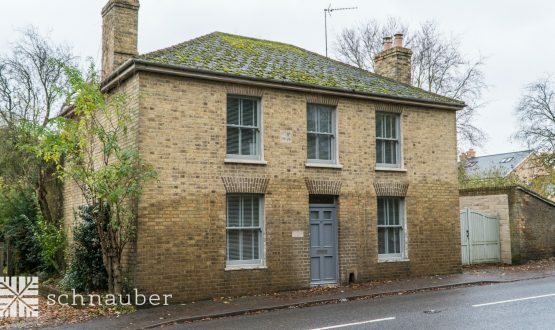 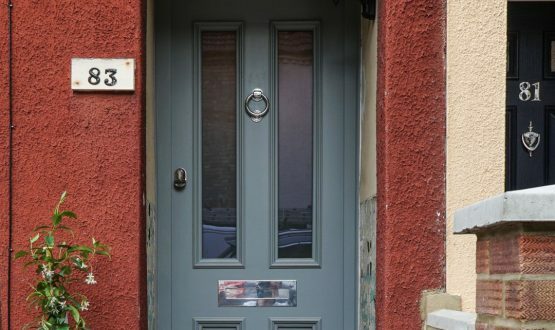 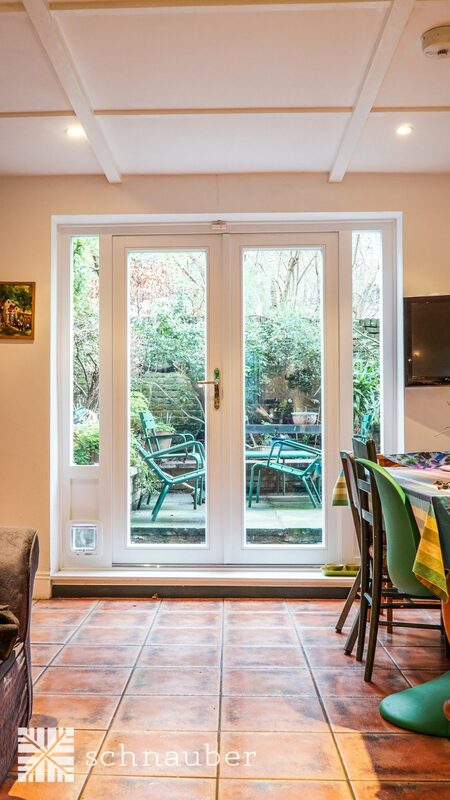 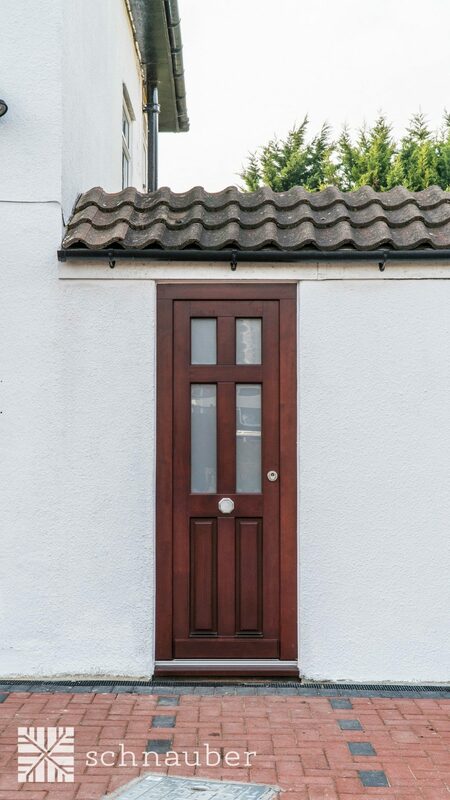 Where would I install a timber entrance door? 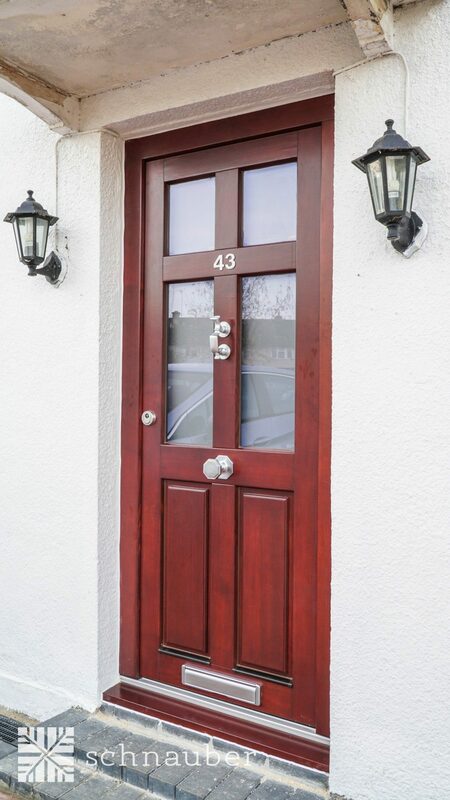 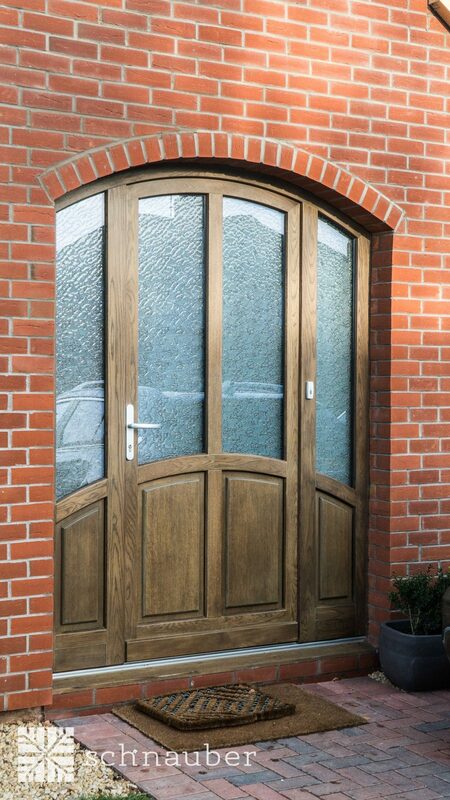 A timber entrance door will work as well in a traditional building as in a modern, contemporary style property. 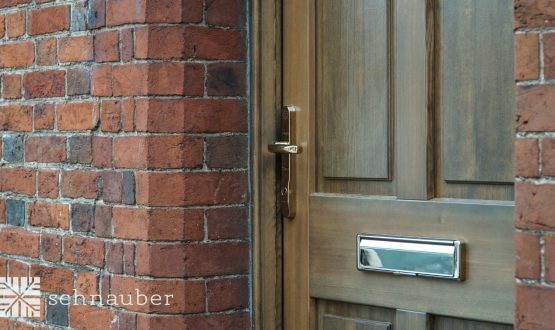 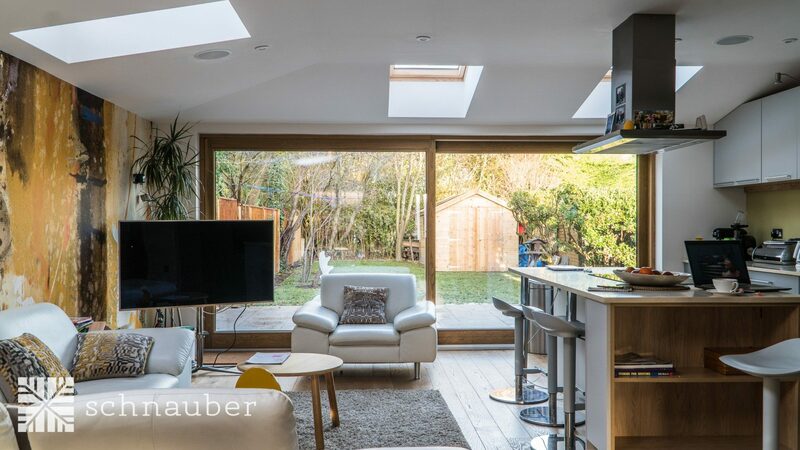 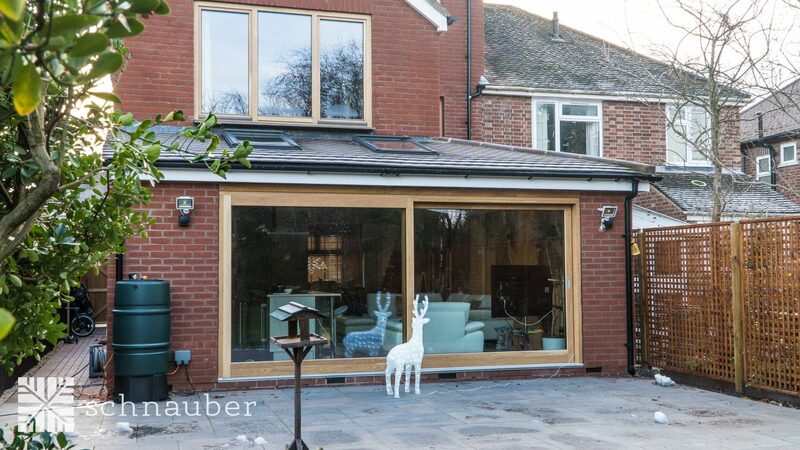 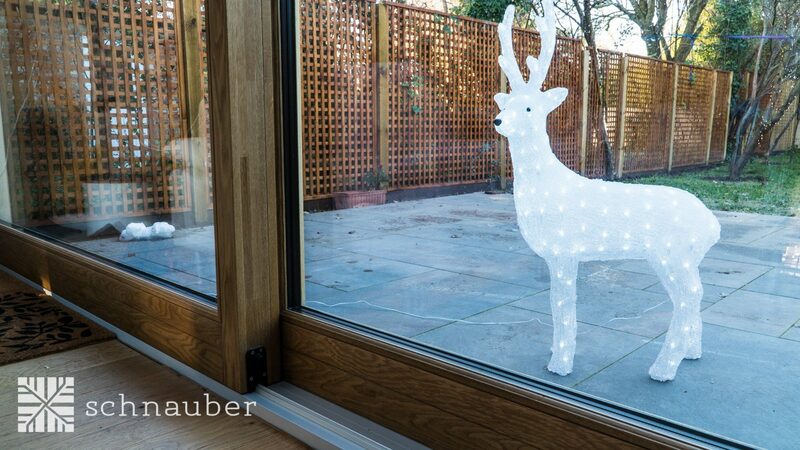 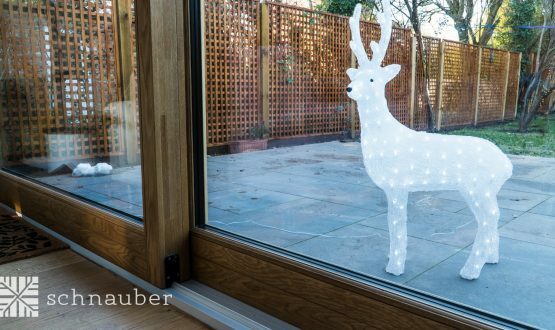 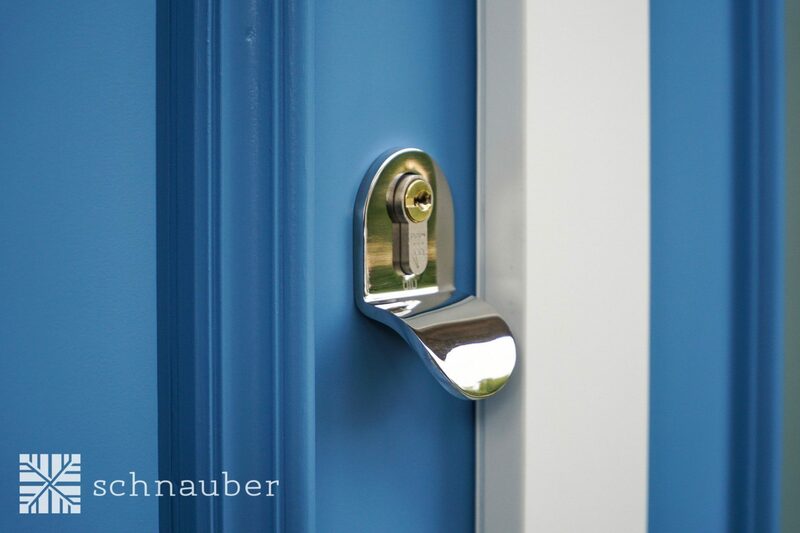 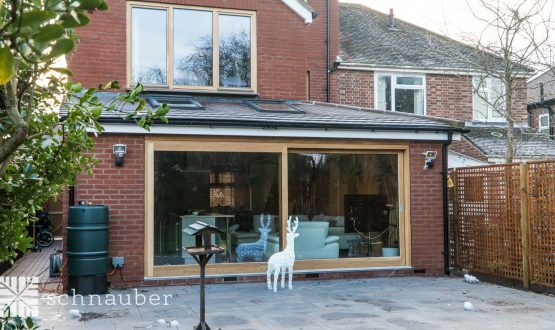 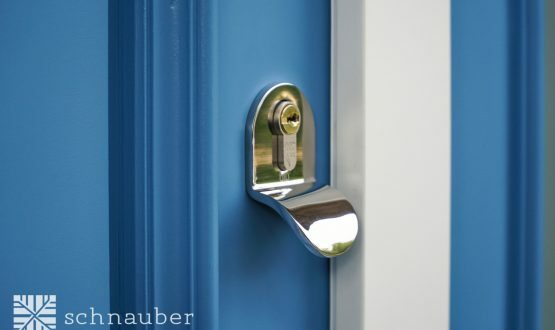 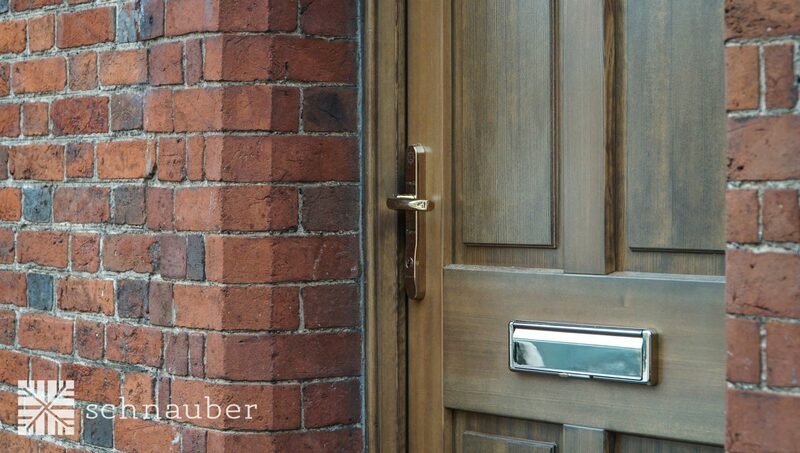 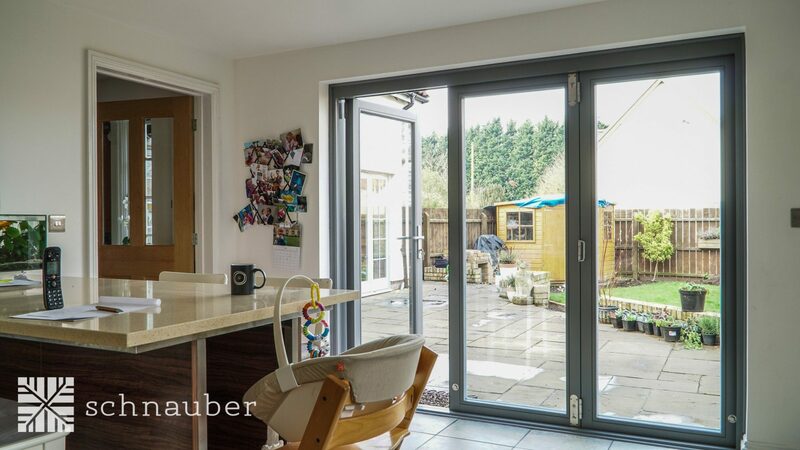 Why would I choose a Schnuaber timber entrance door? 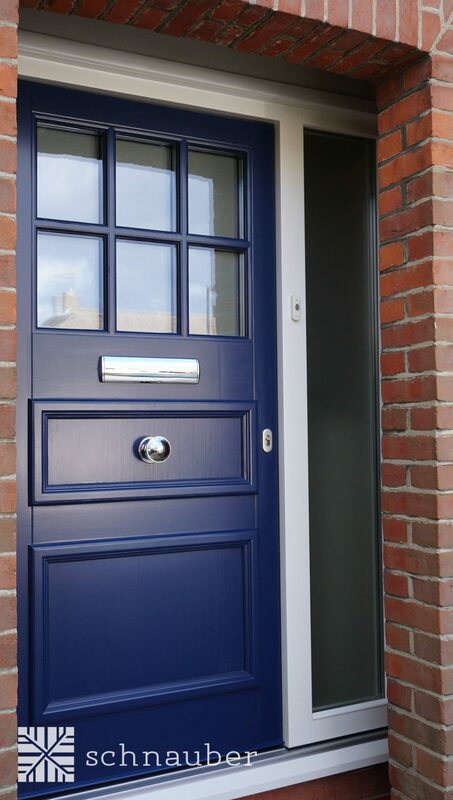 If you are looking for an entrance door that can be manufactured to a bespoke size or shape a timber door will fit your requirements. 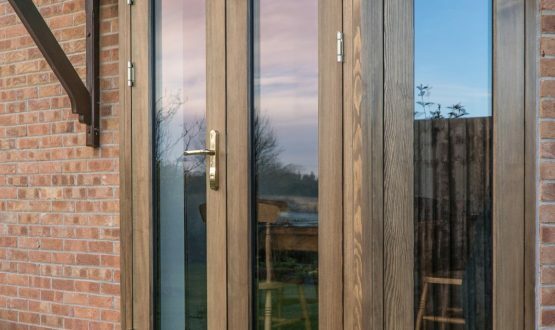 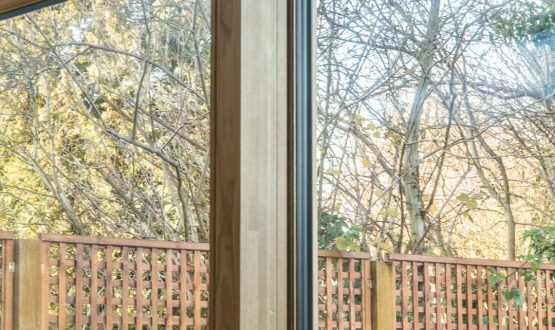 Wood is a far more flexible material to work with than uPVC or aluminium. 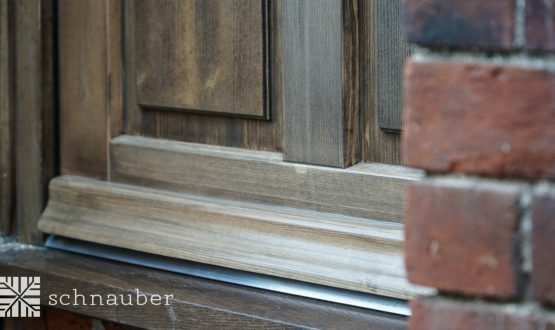 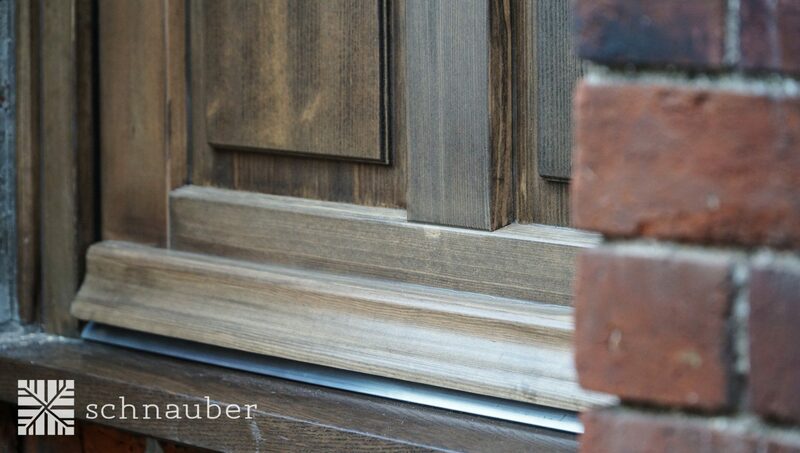 The level of craftsmanship is evident when you open and close a wooden entrance door from Schnauber. 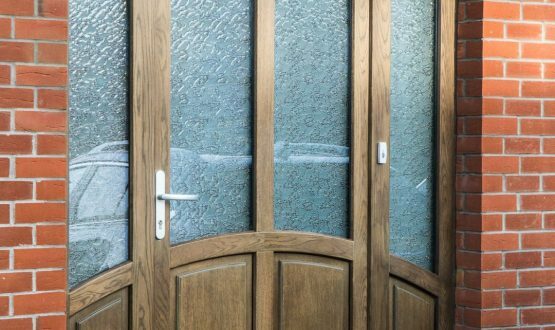 Your entrance door will be built for security and structural integrity to provide a robust and durable entrance to your home for many years to come. 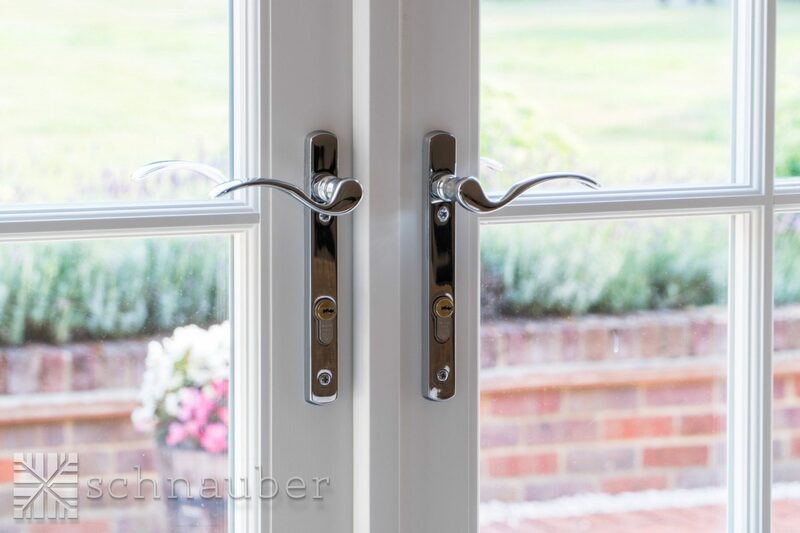 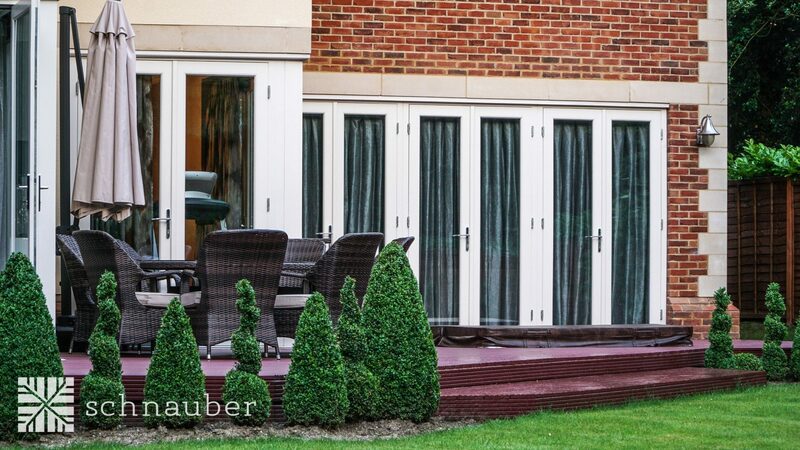 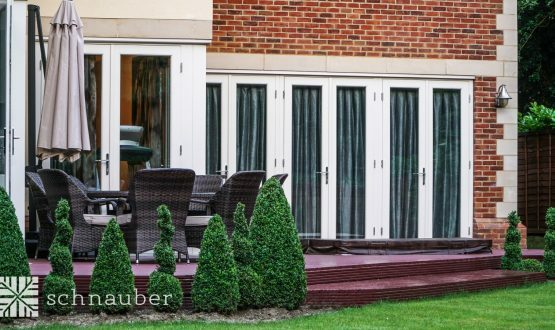 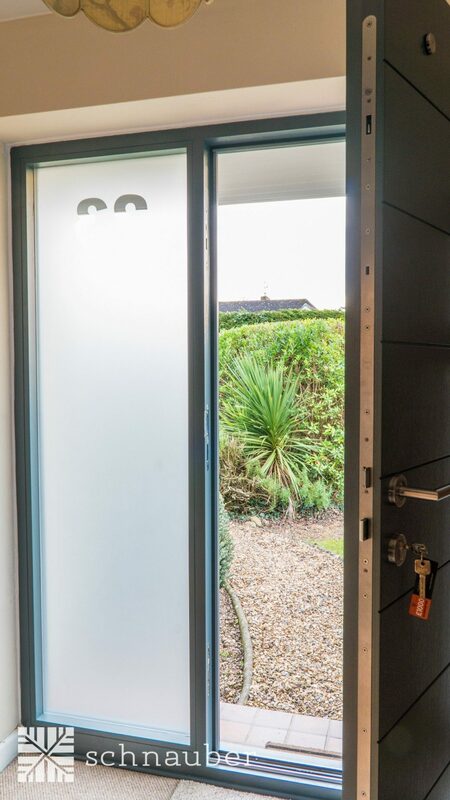 If you are looking for high levels of security the entrance doors manufactured by Schnauber are all fitted with German precision engineered multi locking systems as well as with 3* diamond cut cylinders, the highest specification on the market. 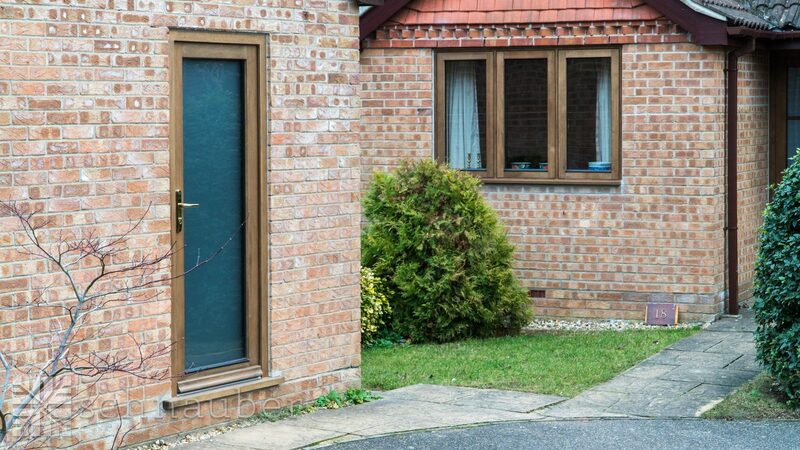 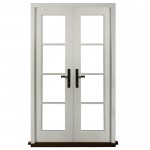 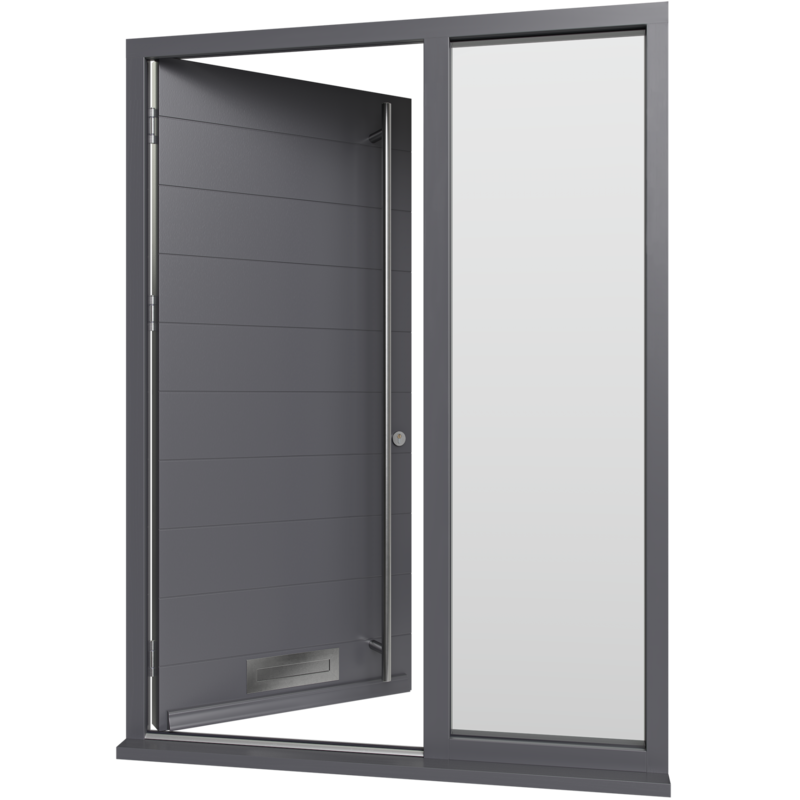 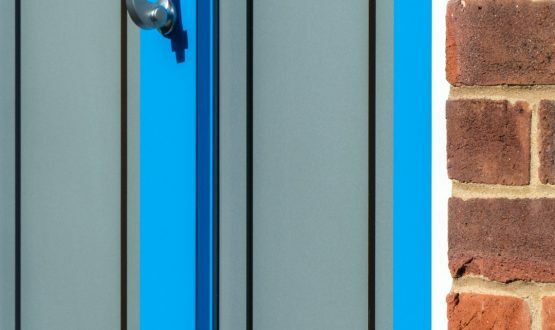 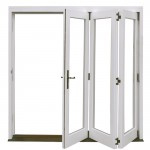 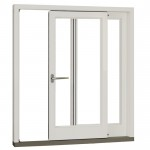 Reassuringly these doors are PAS24 tested which offers enhanced security performance. 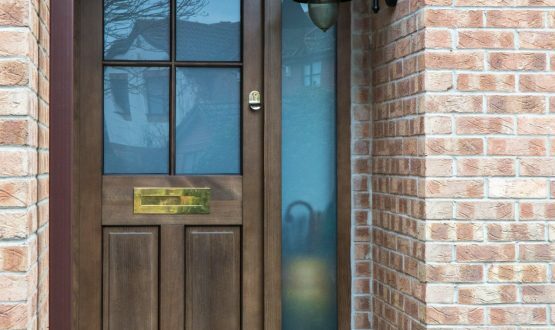 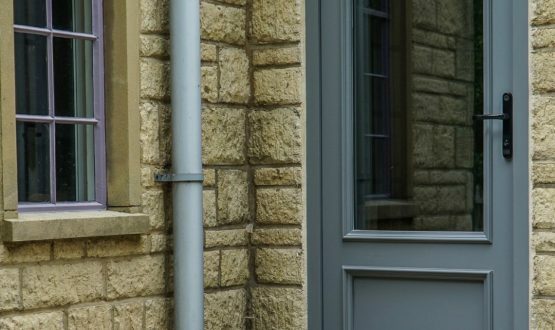 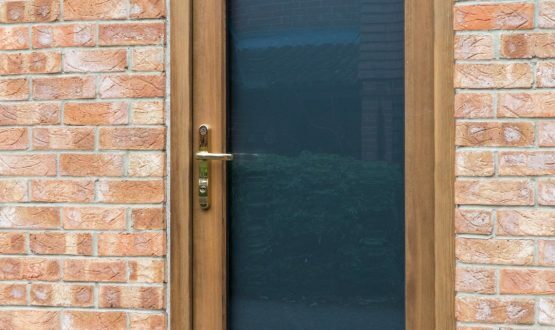 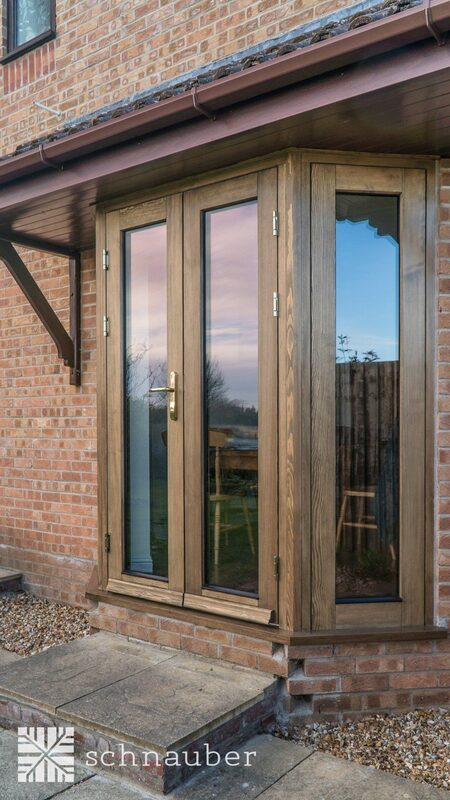 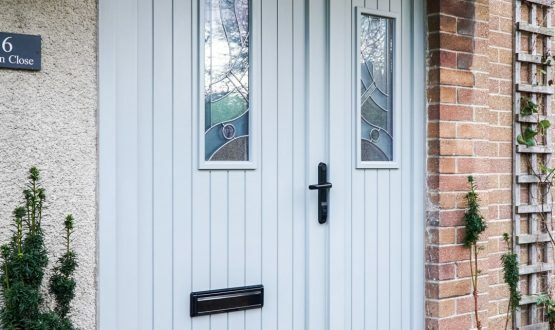 The wide range of finishes and door furniture available ensures that you can add your own personal style to your property with your wooden entrance door. 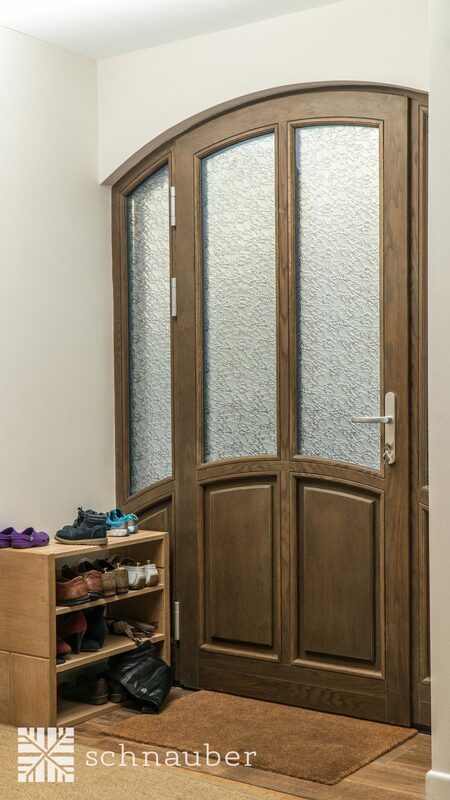 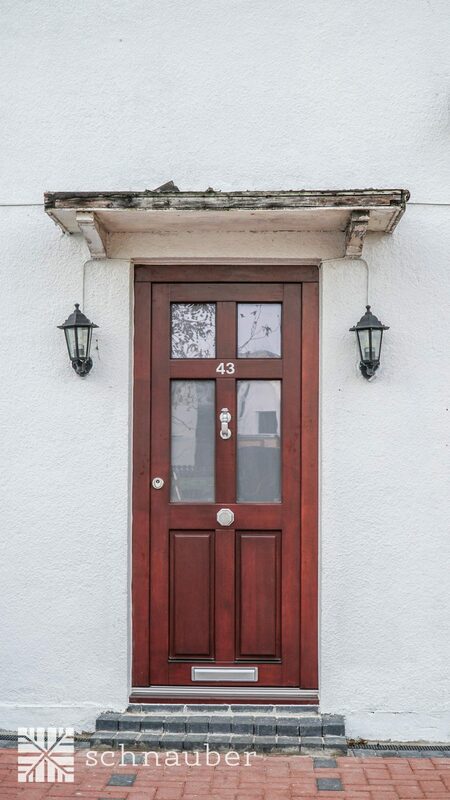 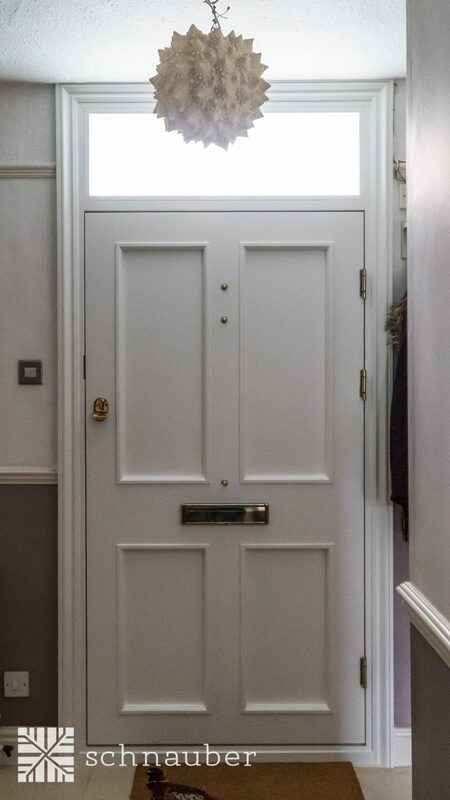 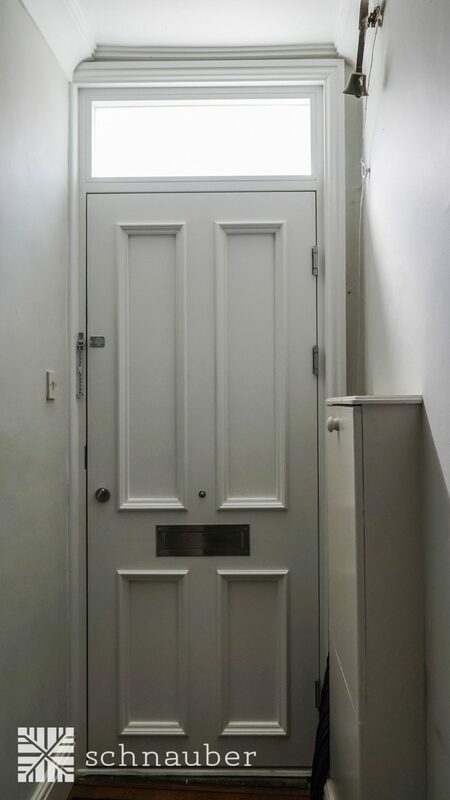 What options are available for my wooden entrance door? 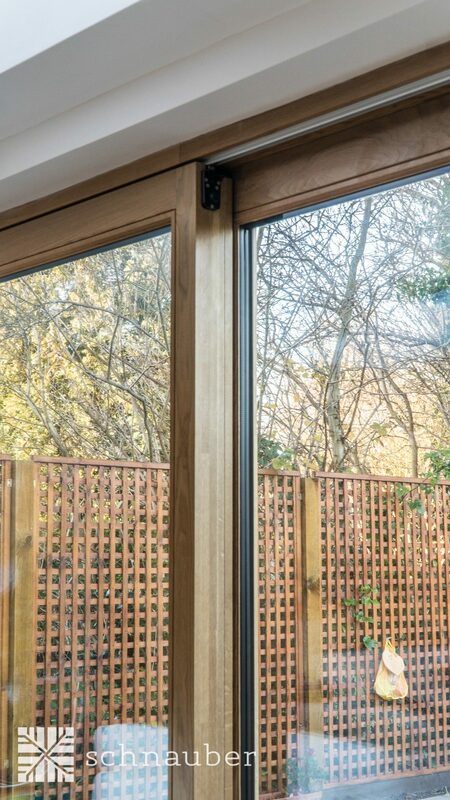 Variety of choice from hardwood or softwood engineered timber. 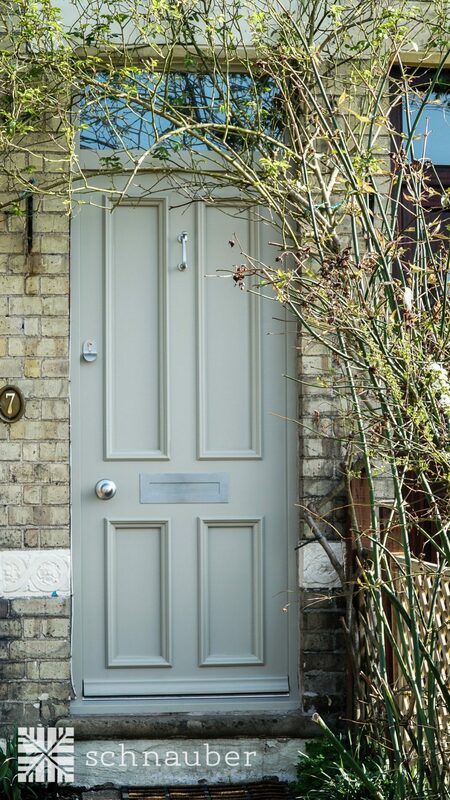 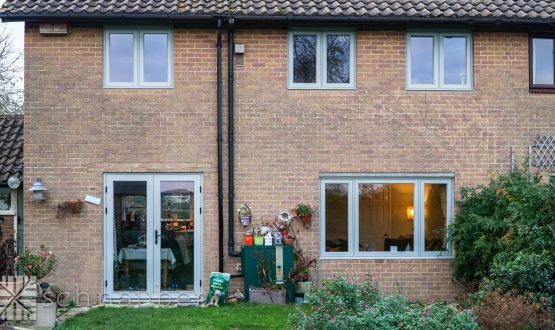 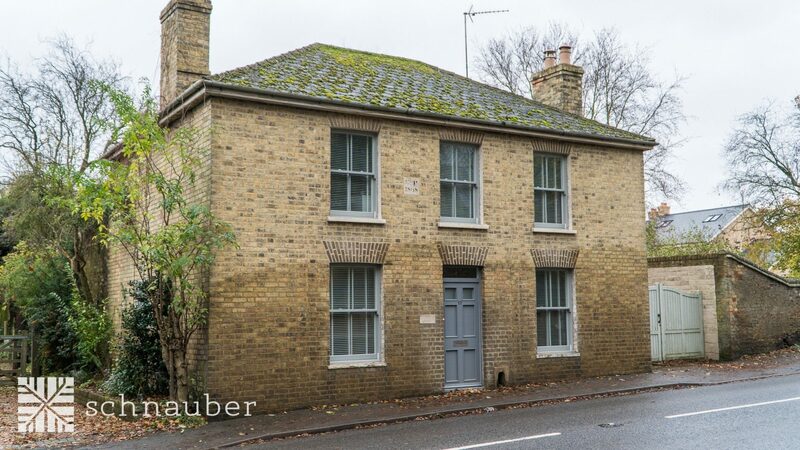 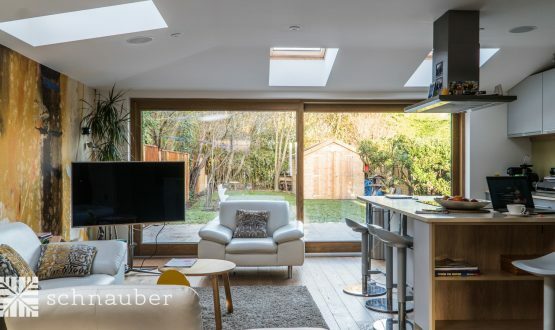 Available in an unlimited range of colours, including Farrow & Ball colour options, using the latest environmentally friendly water-resistant paint technology. 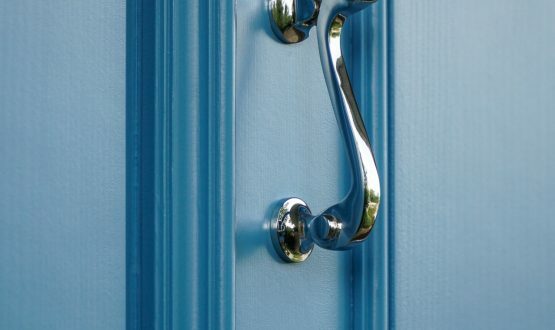 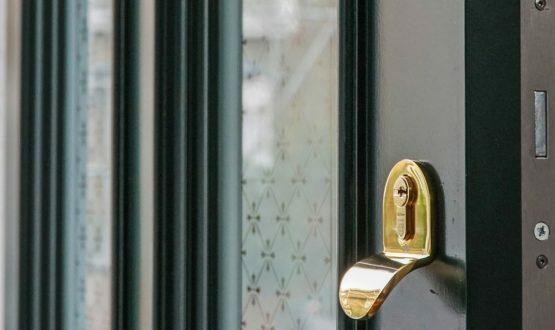 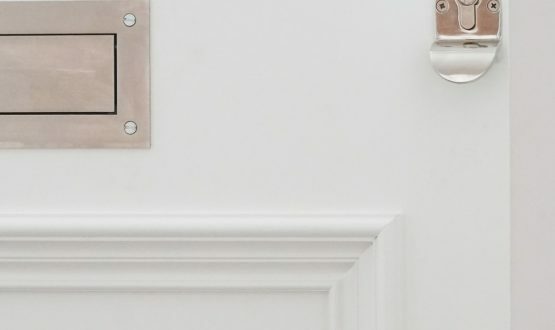 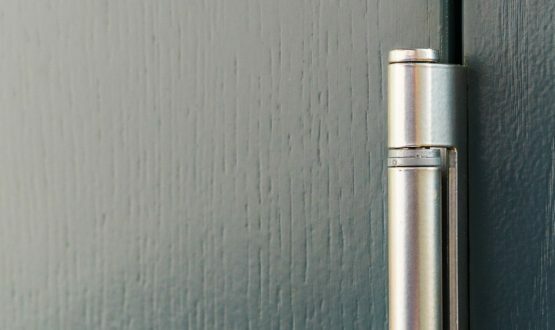 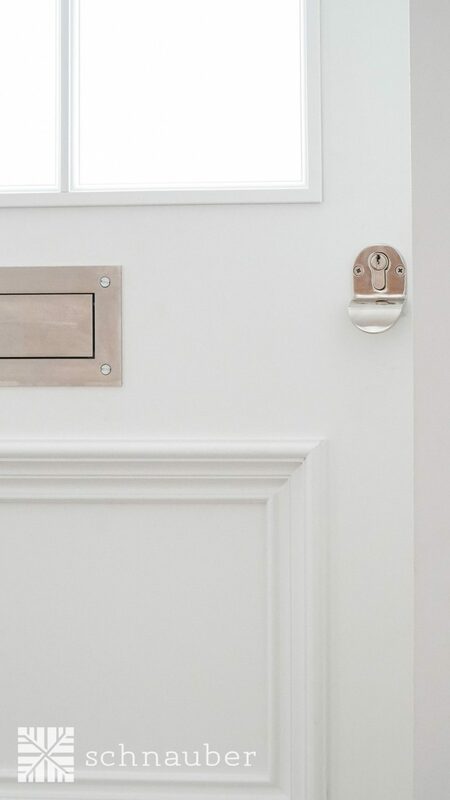 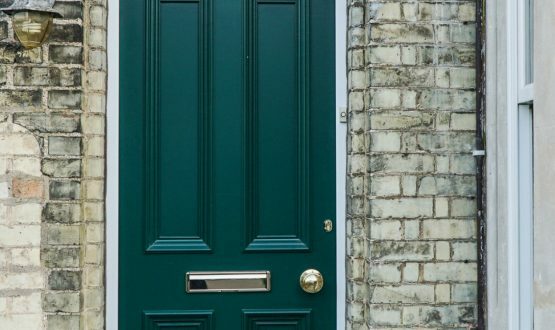 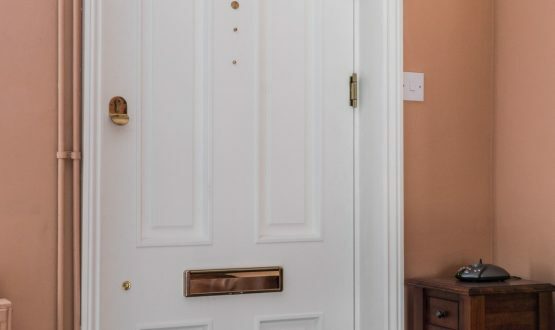 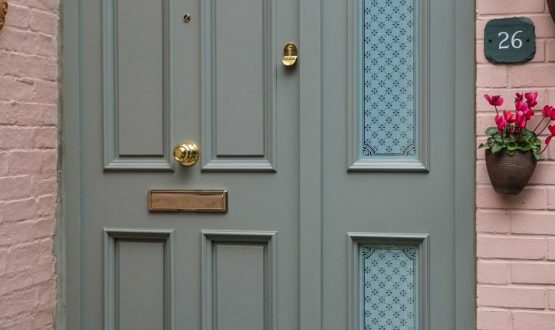 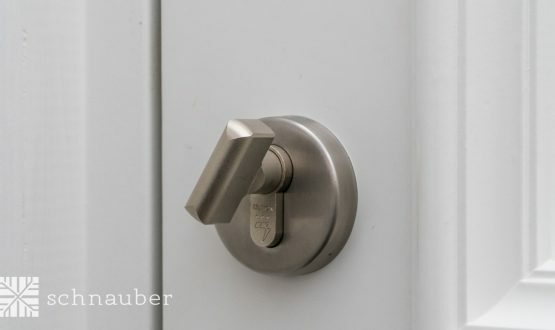 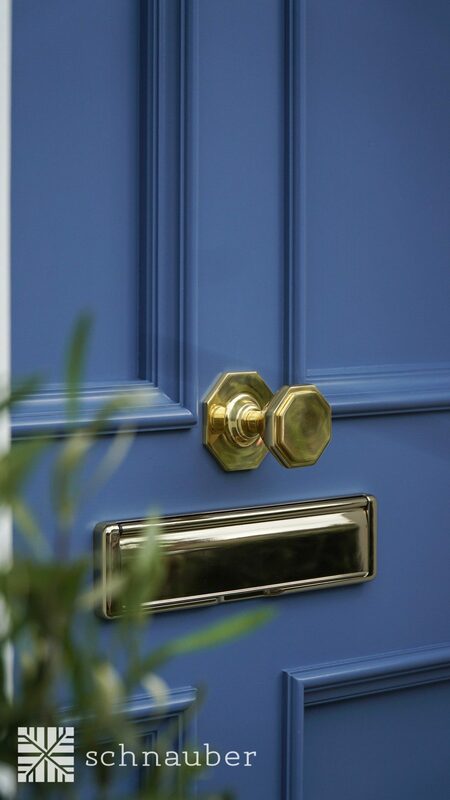 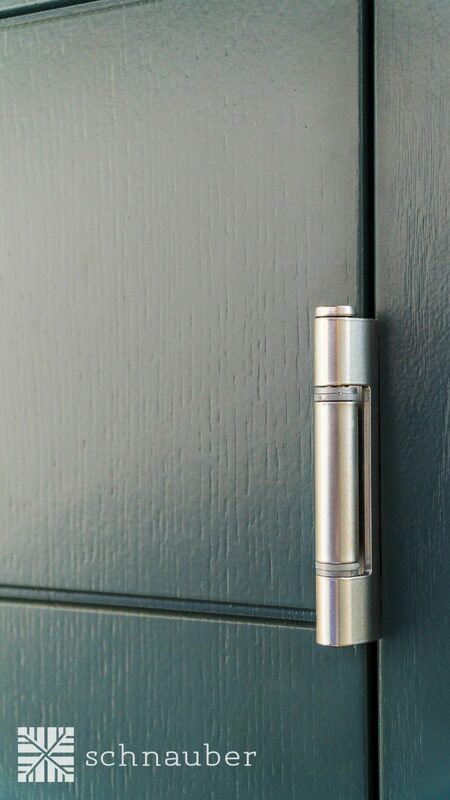 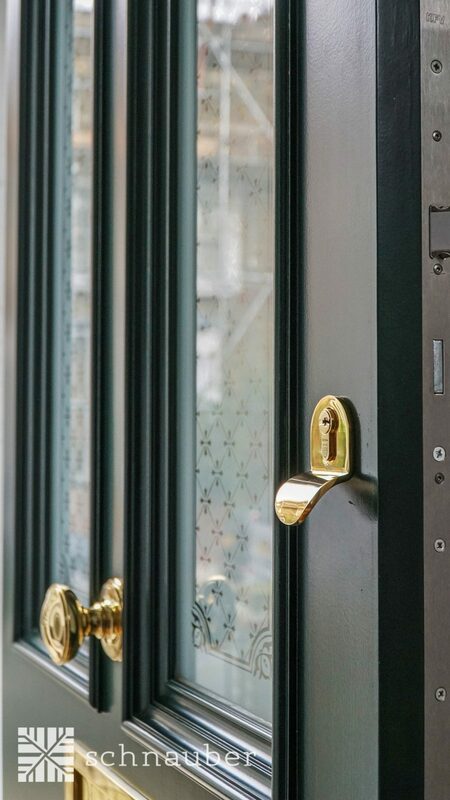 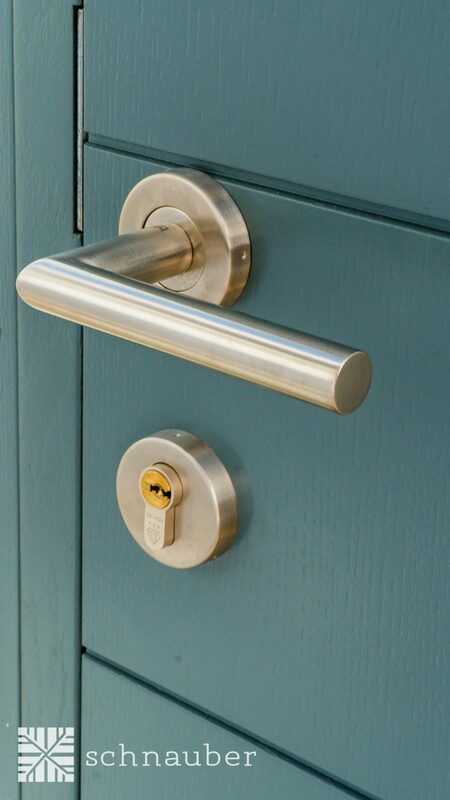 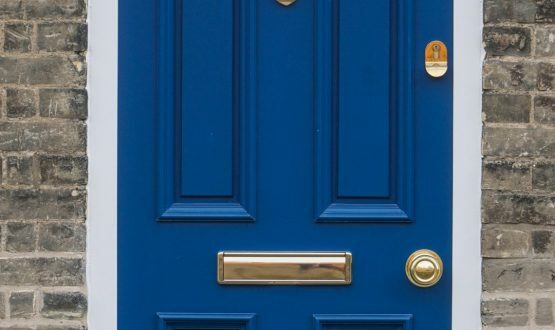 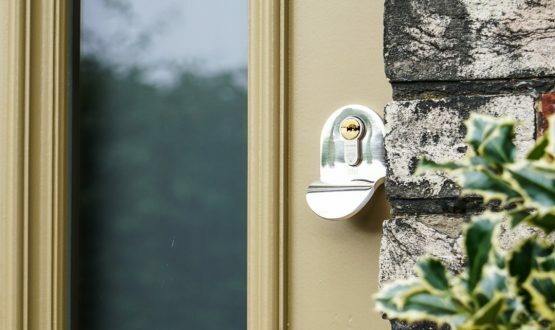 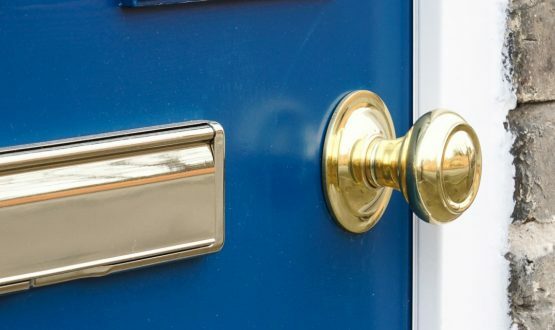 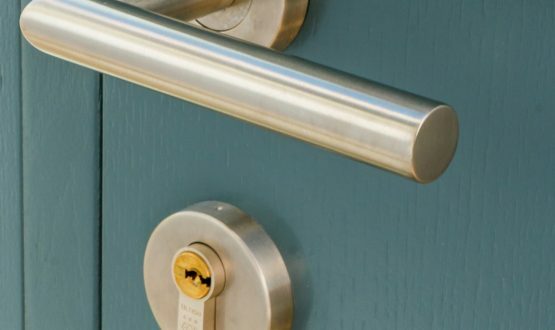 Wide selection of ironmongery including hinges, handles, locks, letter plates and fittings are available to personalise your door and ensure it performs as required. 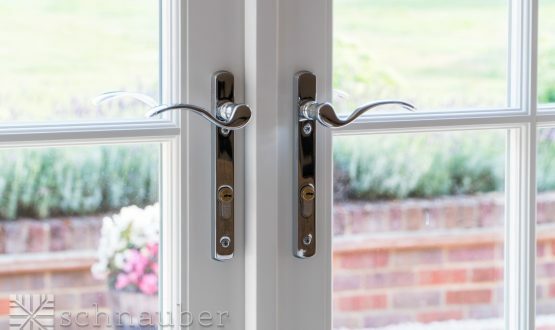 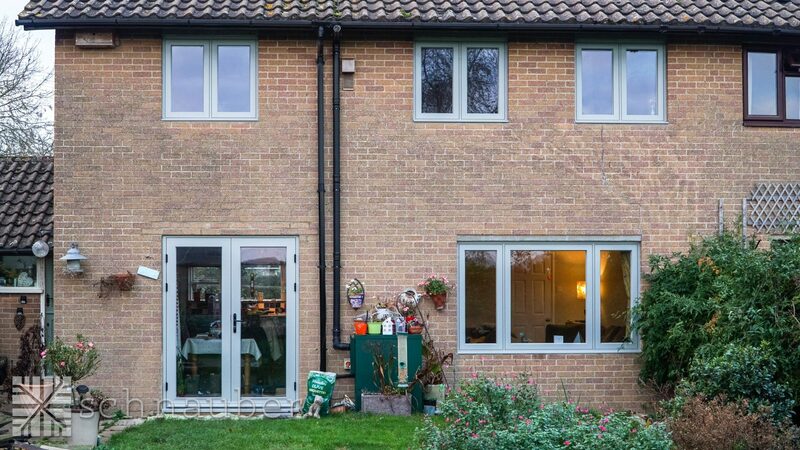 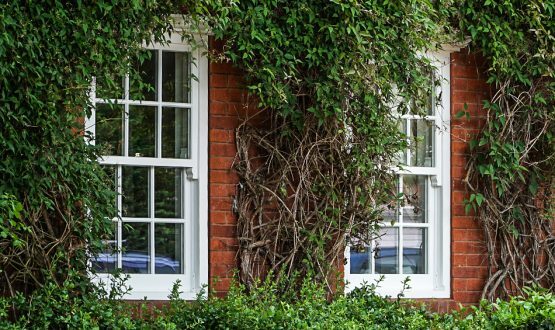 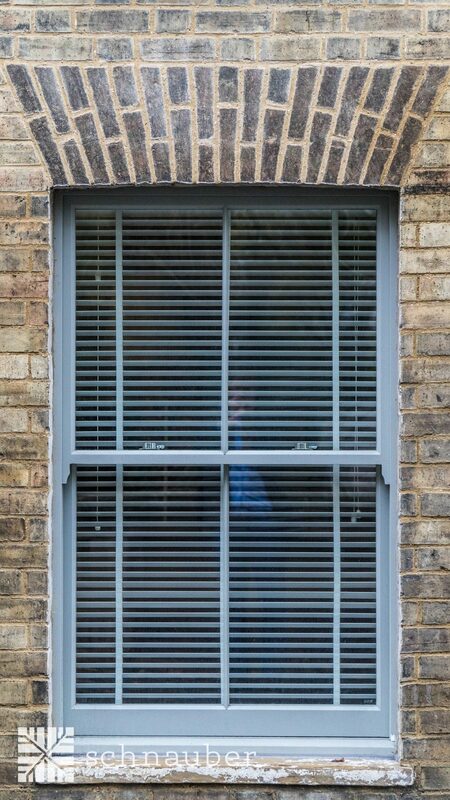 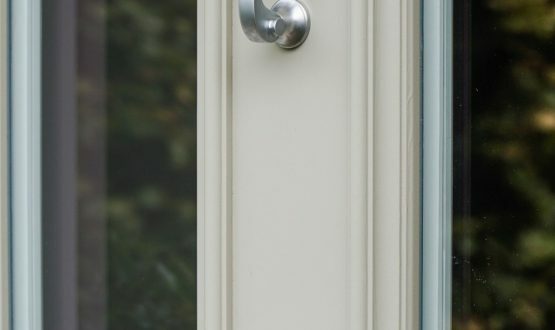 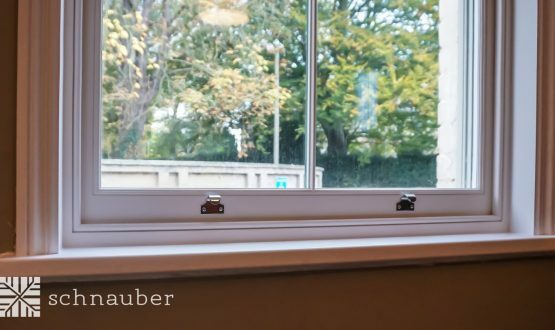 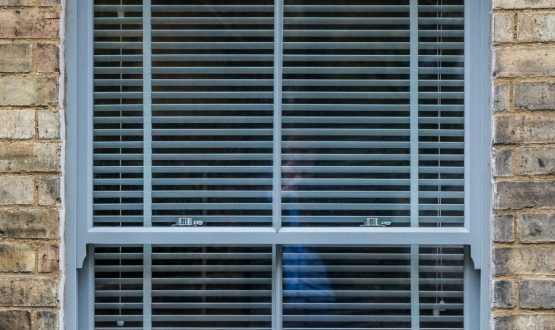 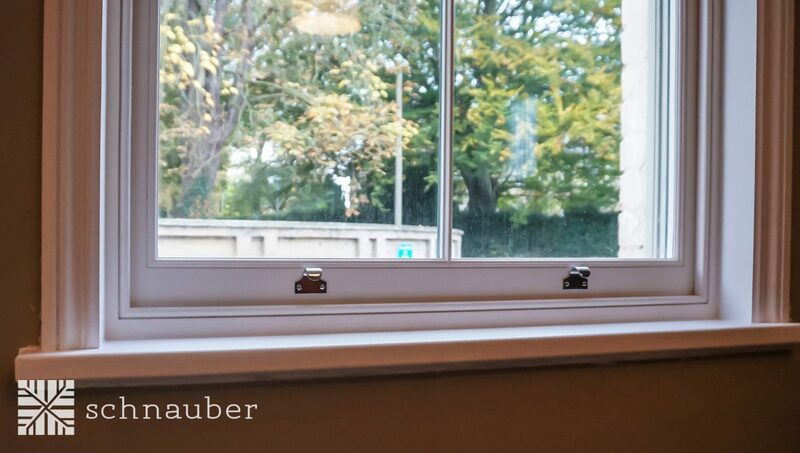 Single, double or triple glazing that conform to both Part K, Approved Documents and BS 6206. 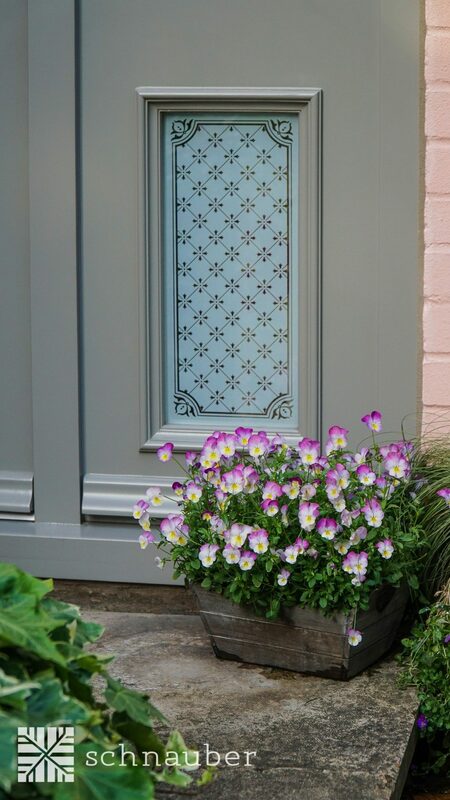 Range of decorative and frosted glass. 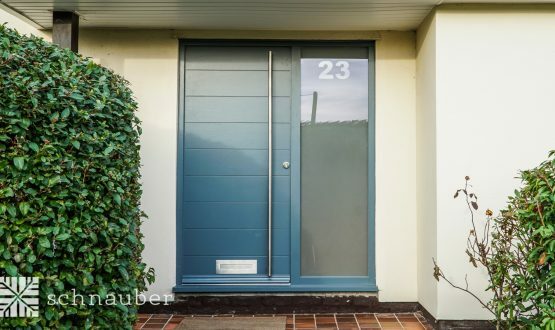 Schnauber timber entrance doors can also be integrated with a wheelchair accessible low-profile threshold for inclusive access. 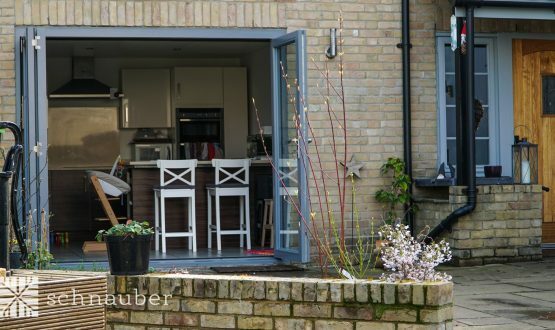 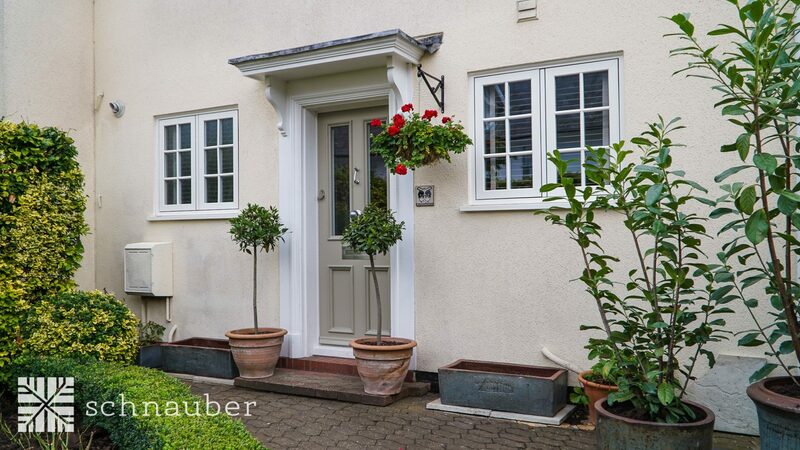 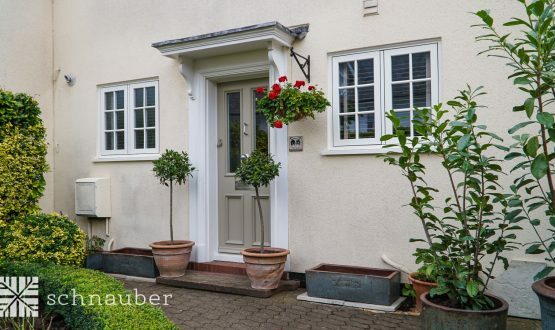 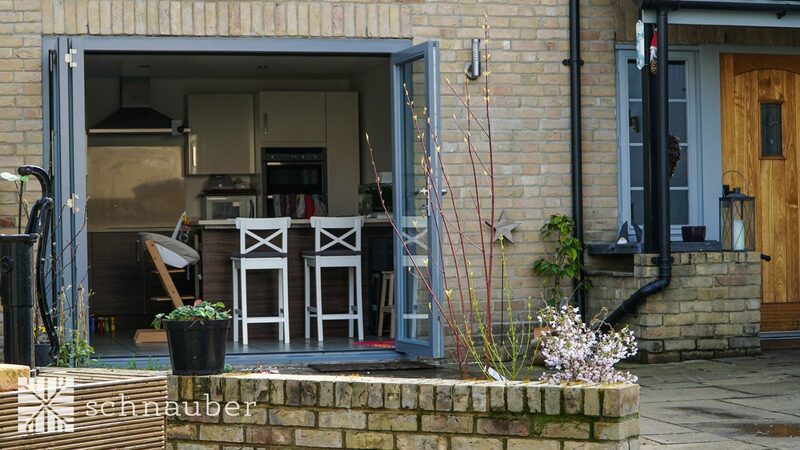 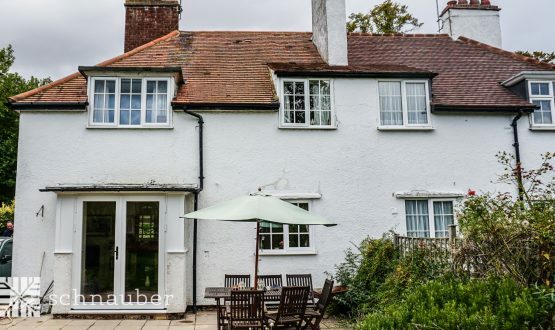 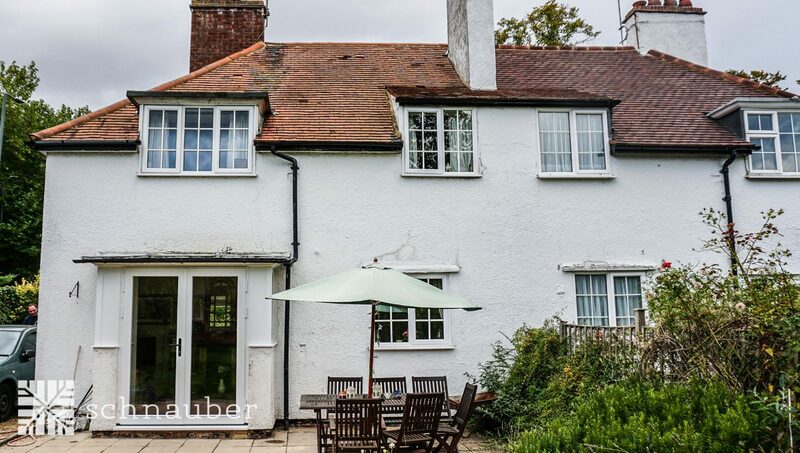 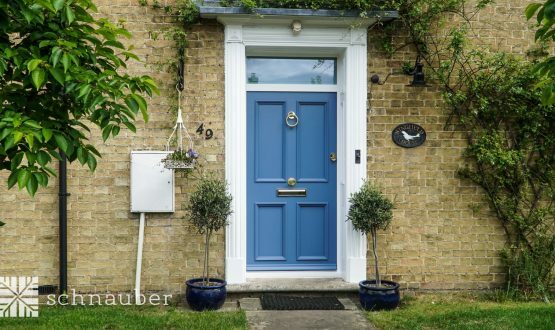 Are Schnauber’s timber entrance doors environmentally friendly? 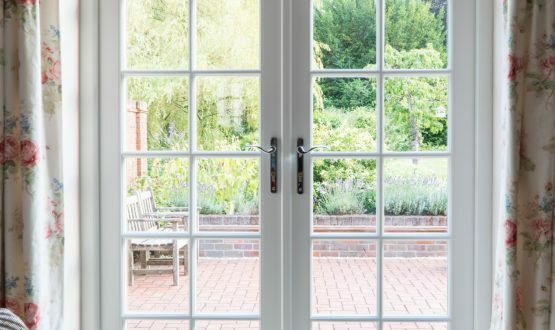 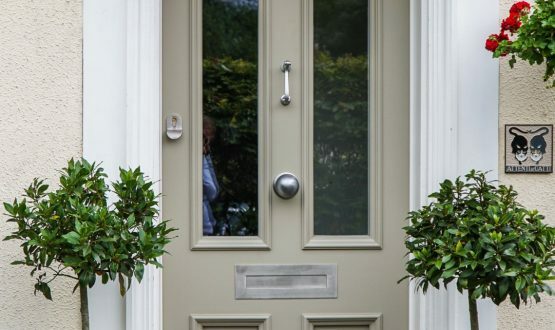 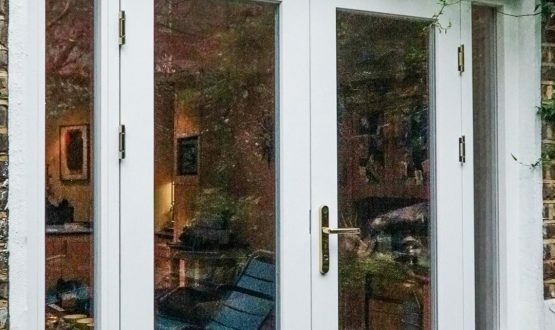 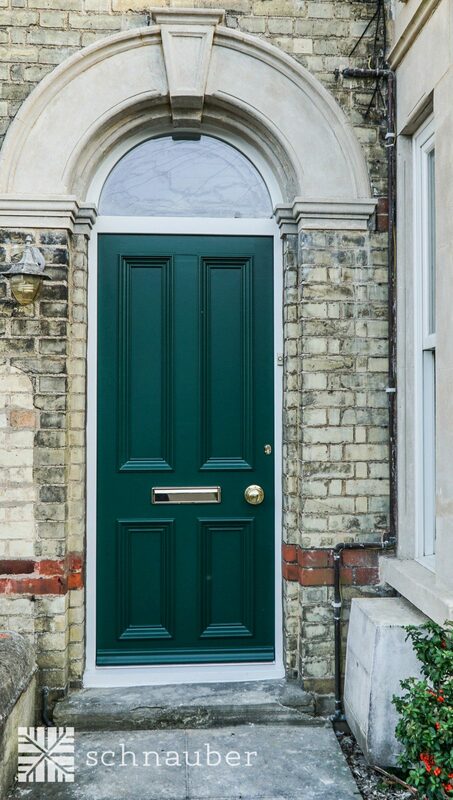 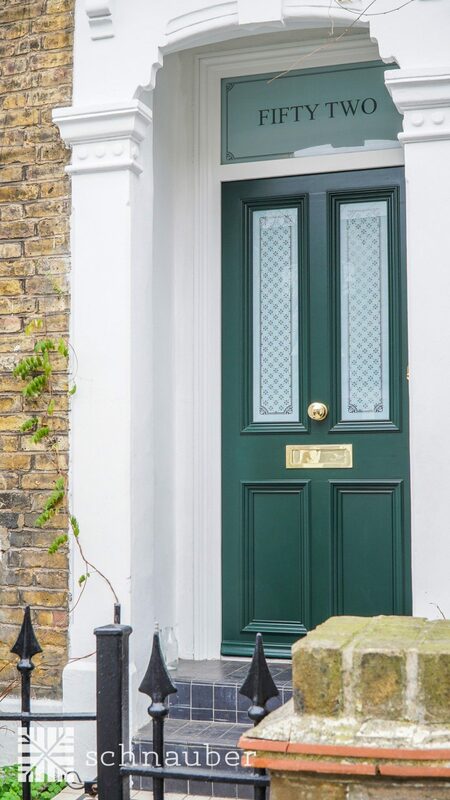 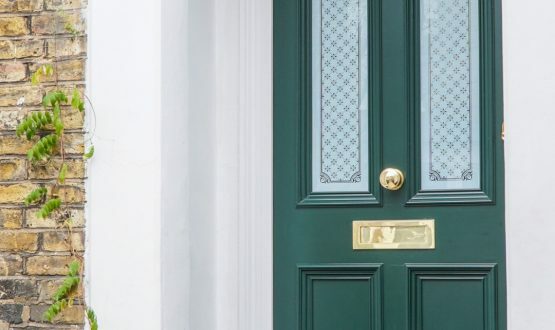 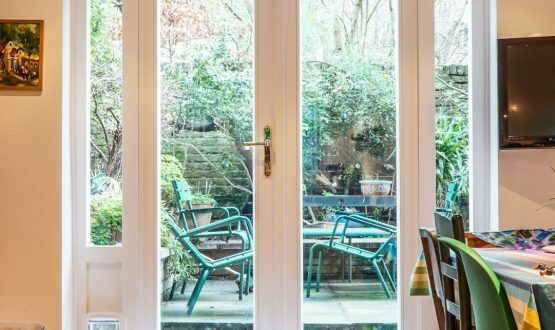 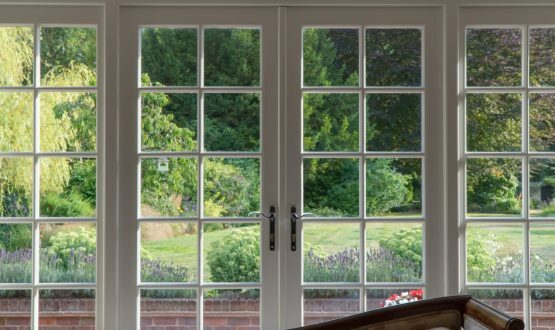 All of our timber entrance doors are manufactured from responsible and sustainable sources and certified by the Forest Stewardship Council (FSC). 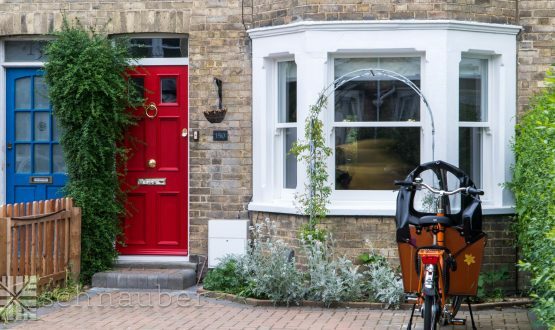 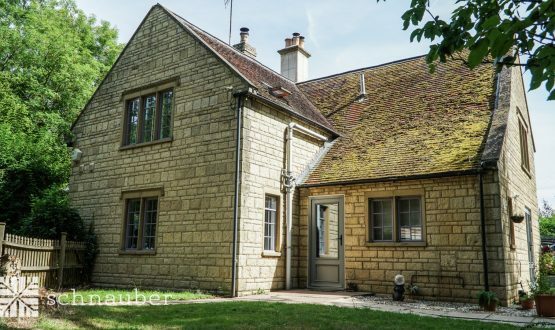 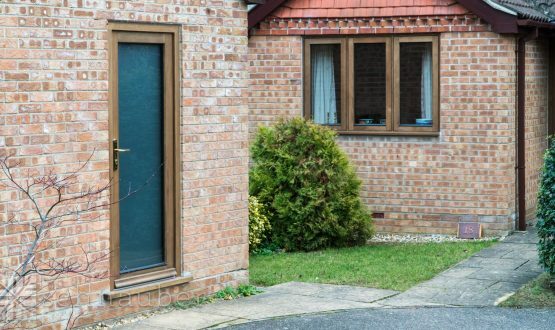 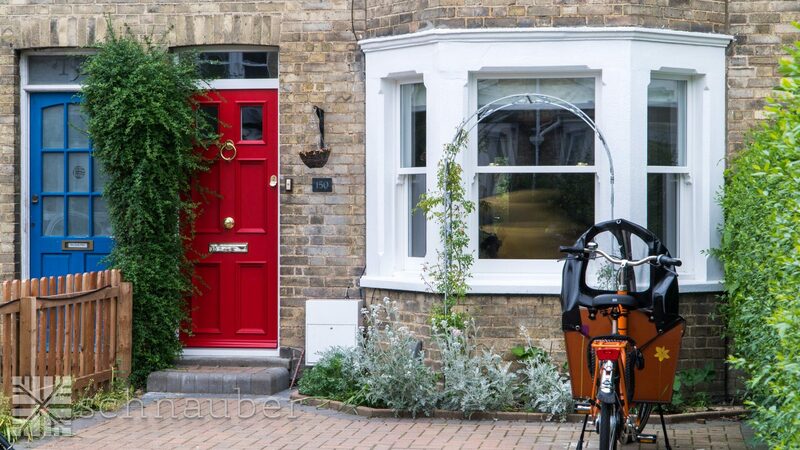 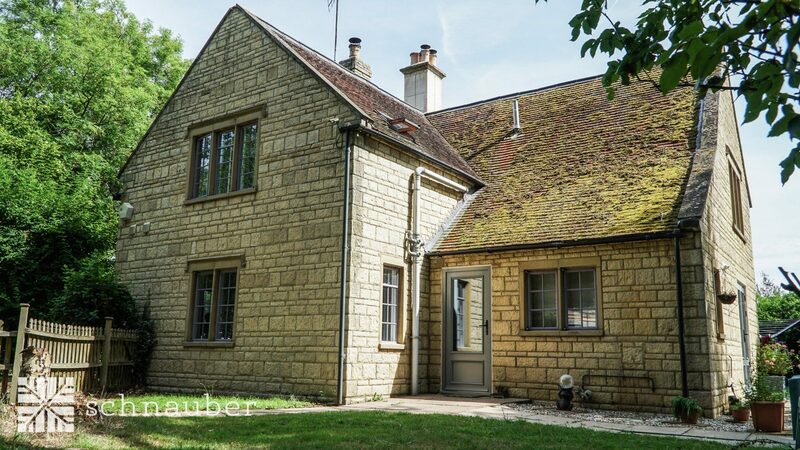 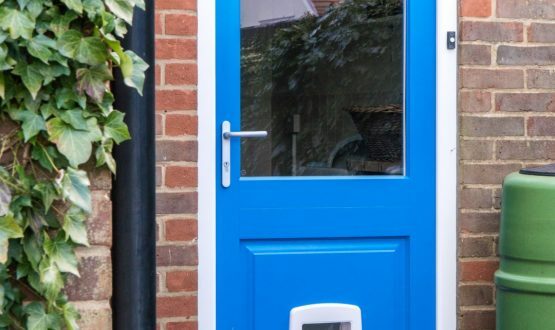 How long will it take to install a new timber entrance door? 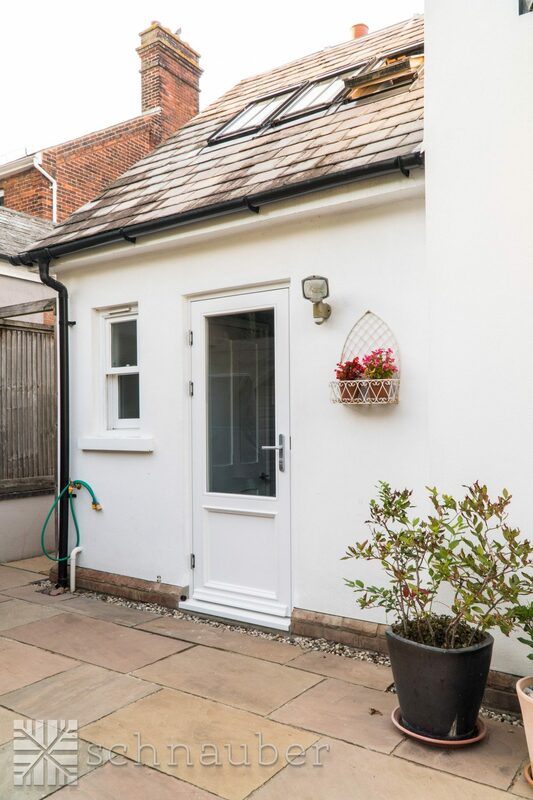 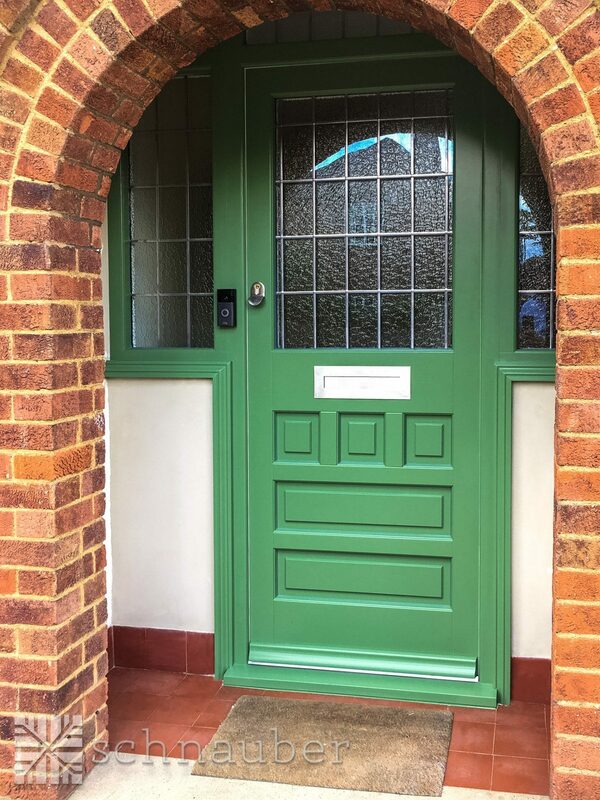 Typically a new timber entrance door will take a full day to install depending upon the type of property, type of locking system and the amount of door furnishings required. 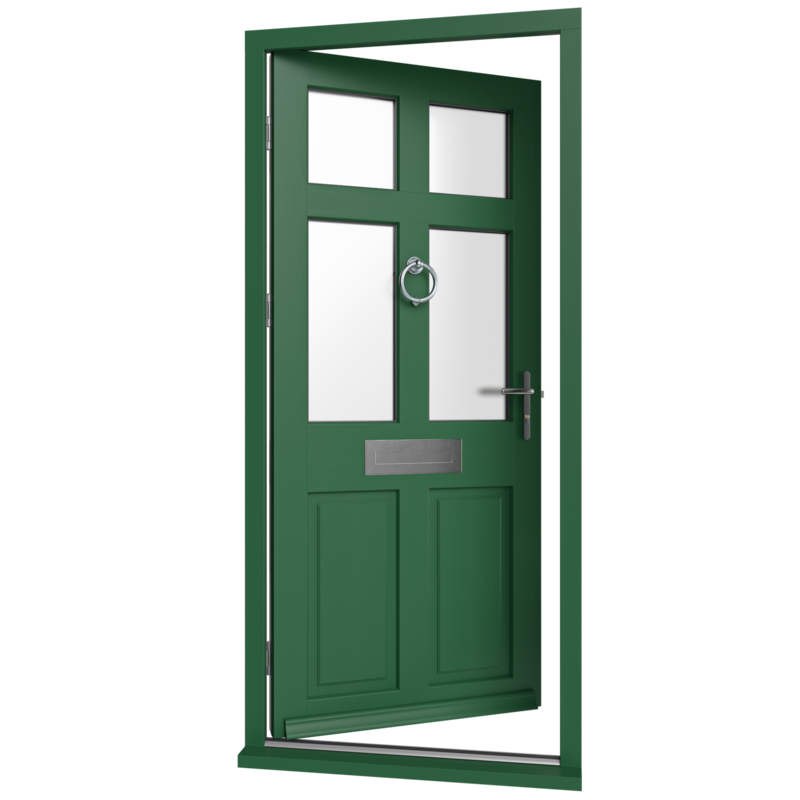 How easy are timber entrance doors to maintain once they have been installed? 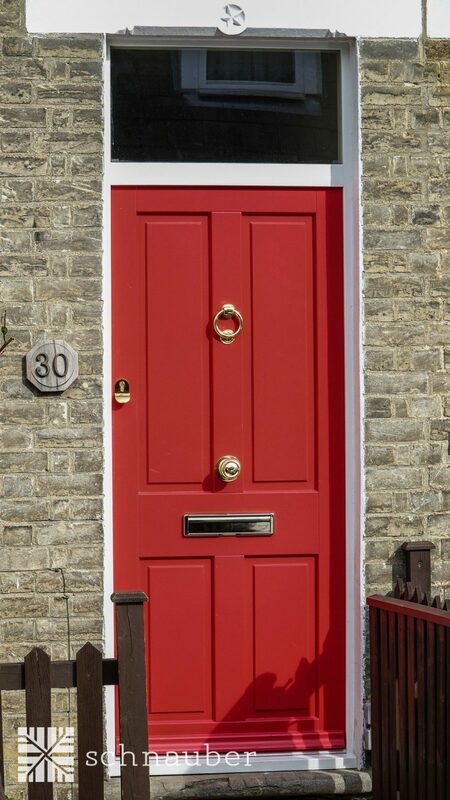 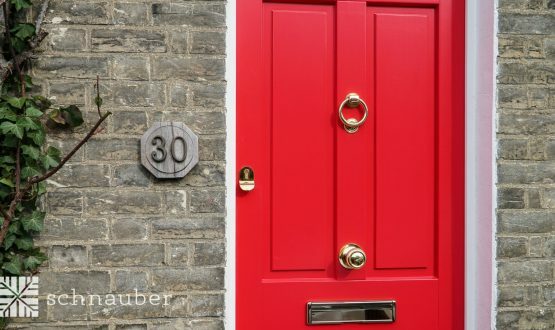 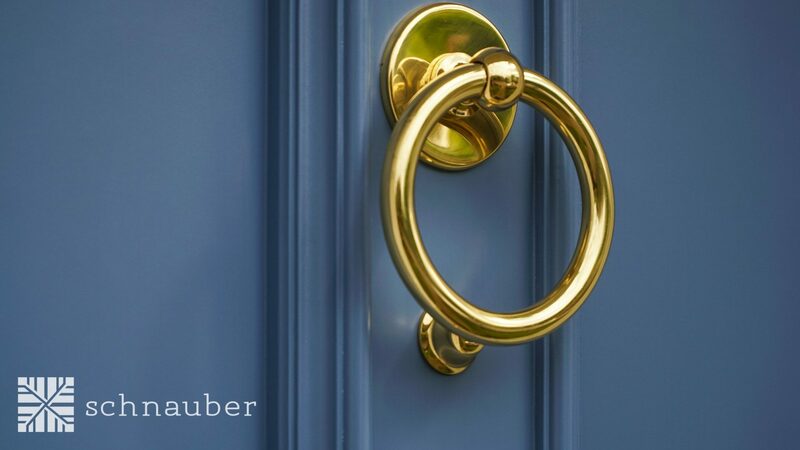 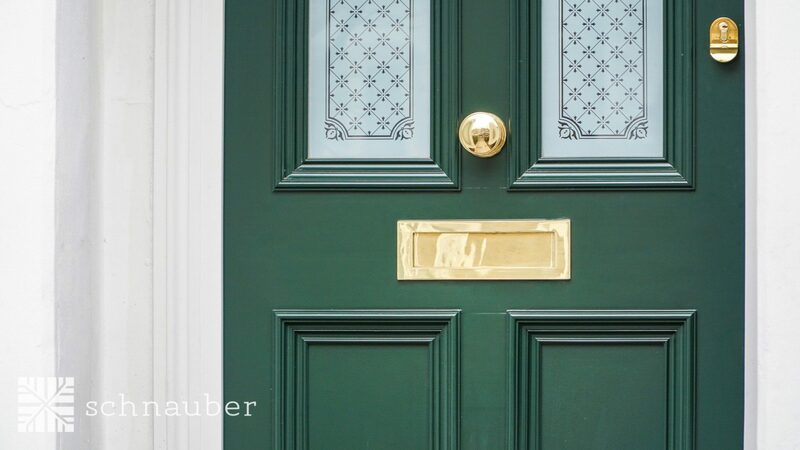 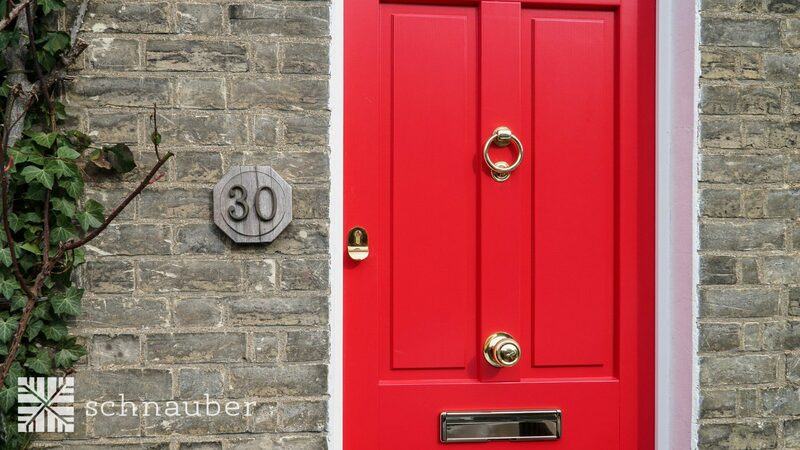 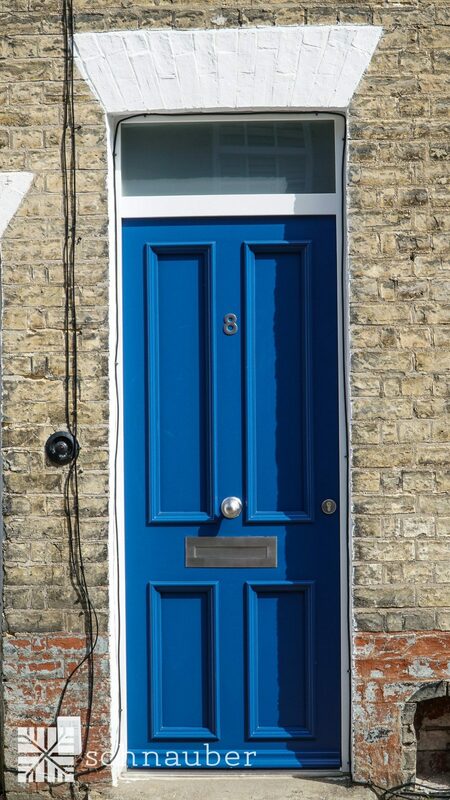 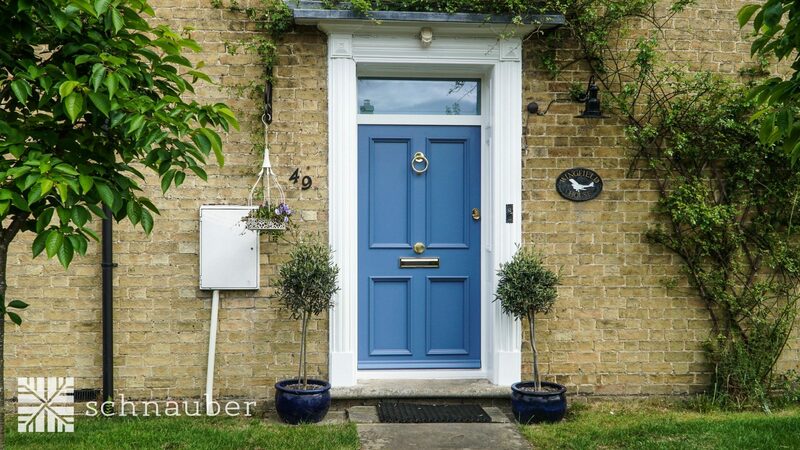 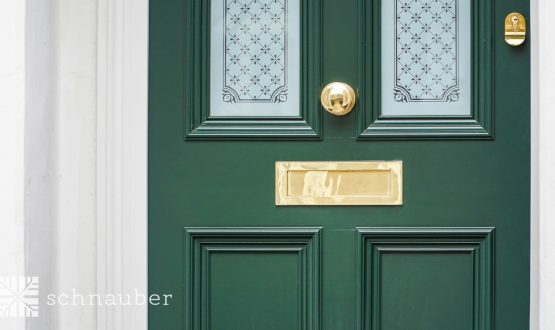 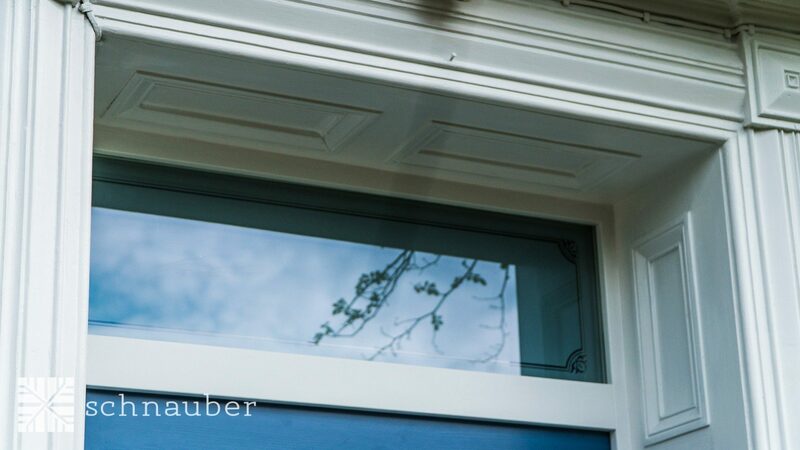 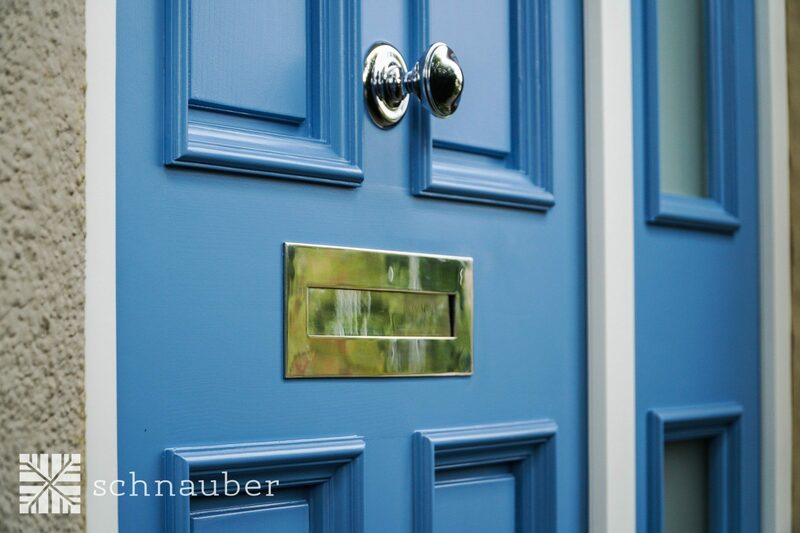 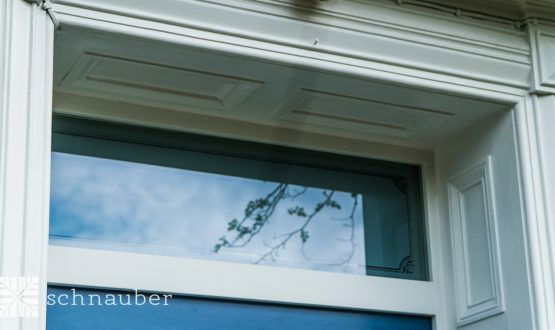 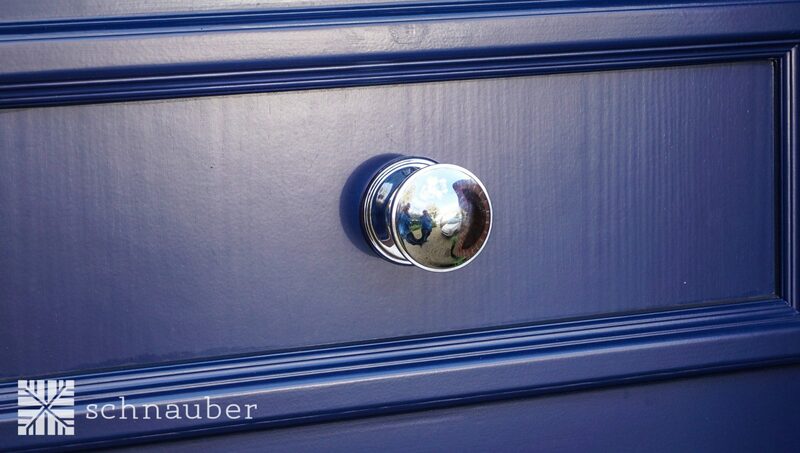 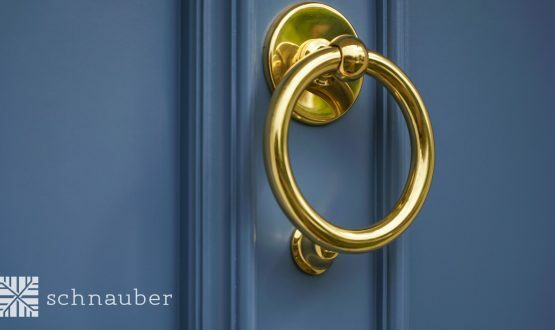 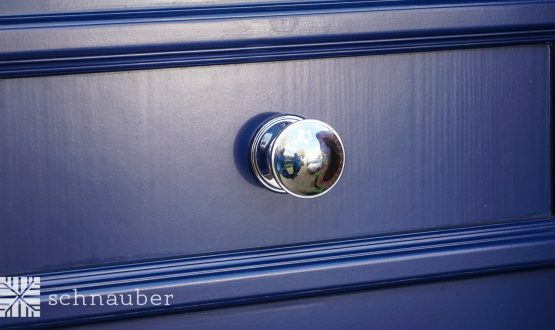 Schnuaber wooden doors are pre-treated with a non-toxic wood preservative so maintenance is only required every 5- 10 years. 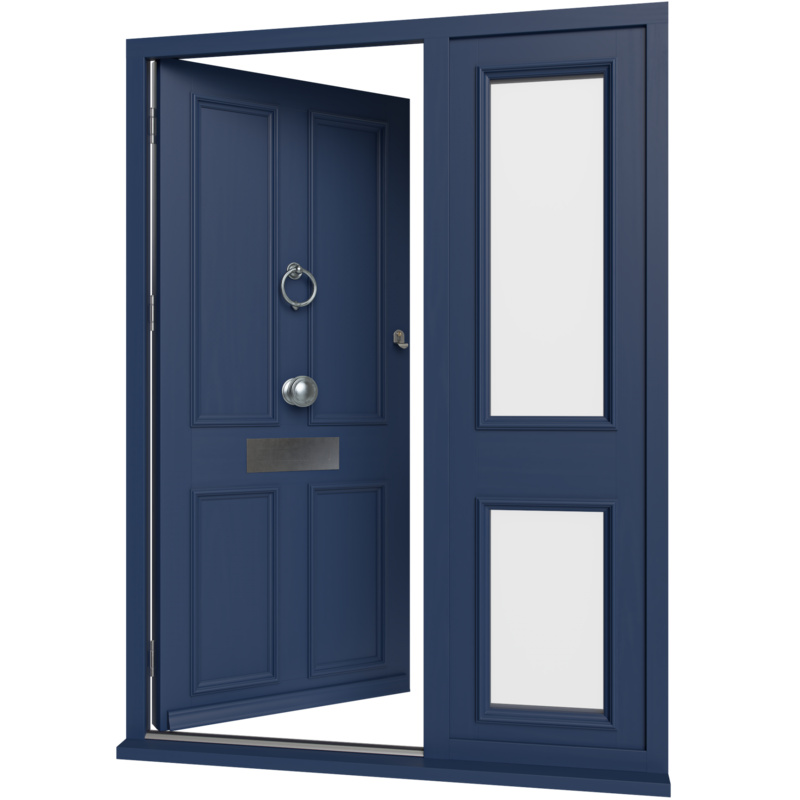 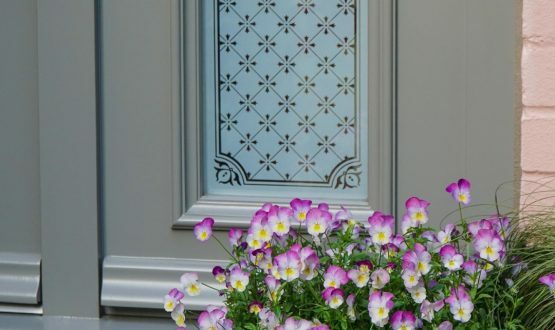 These door sets provide crafted, well designed and beautifully built doors that can be integrated into both contemporary and traditional architecture. 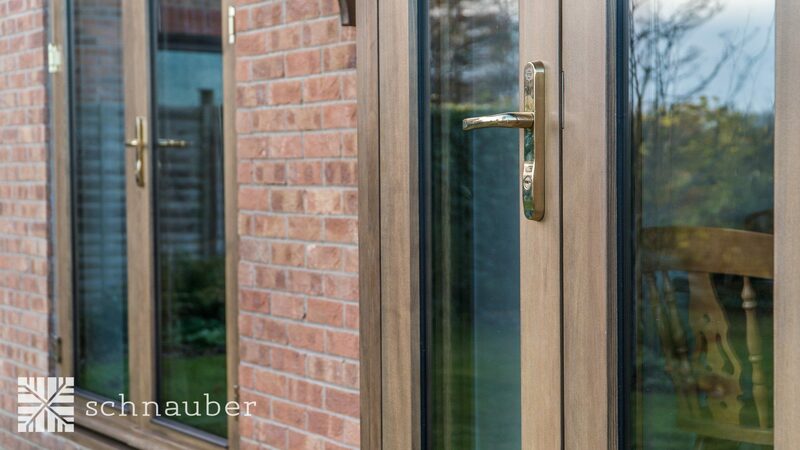 When choosing timber entrance doors it would not be advisable to cut corners on the locking mechanism or door furniture. 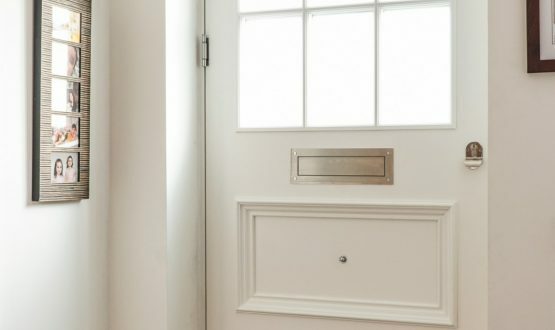 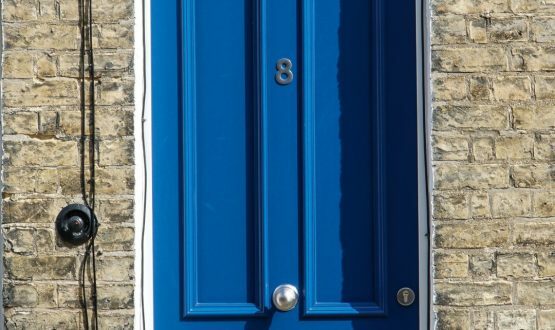 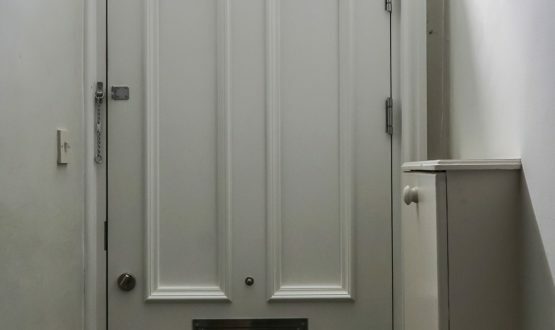 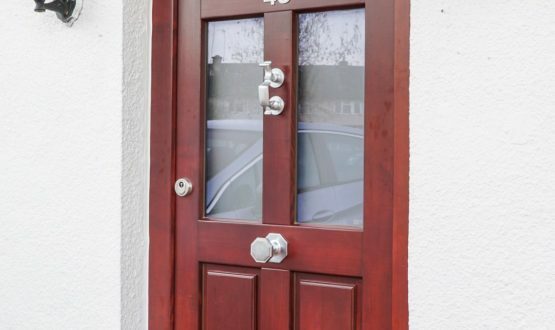 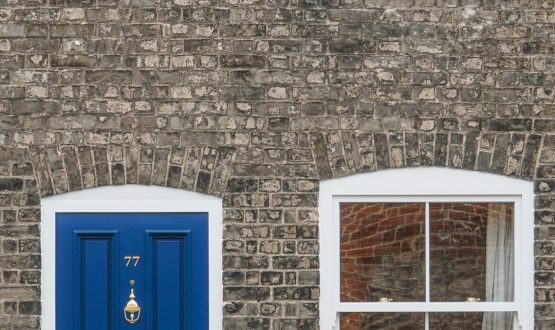 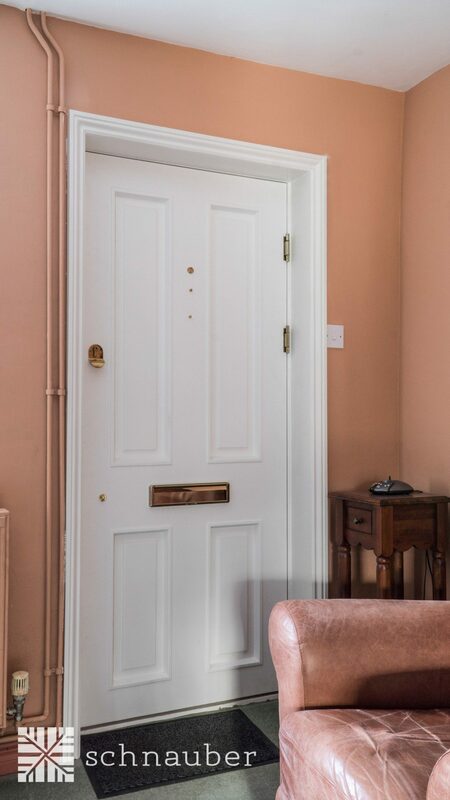 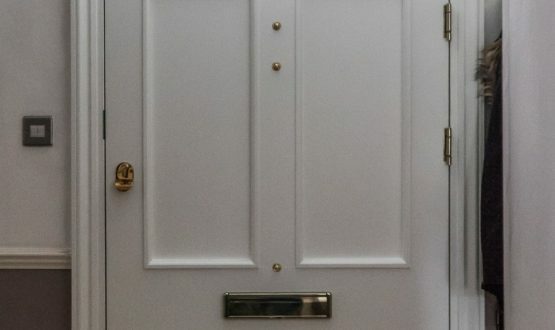 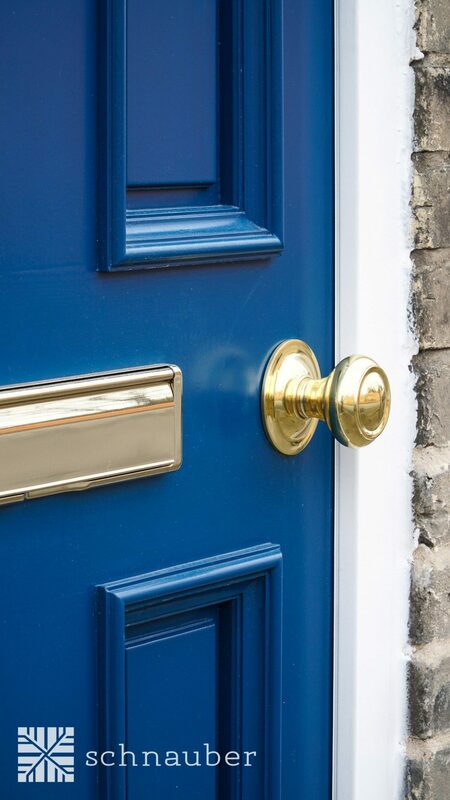 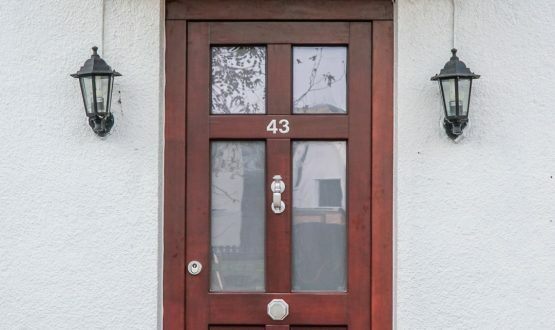 Cheaper entrance doors could suffer from a draughty letterbox. 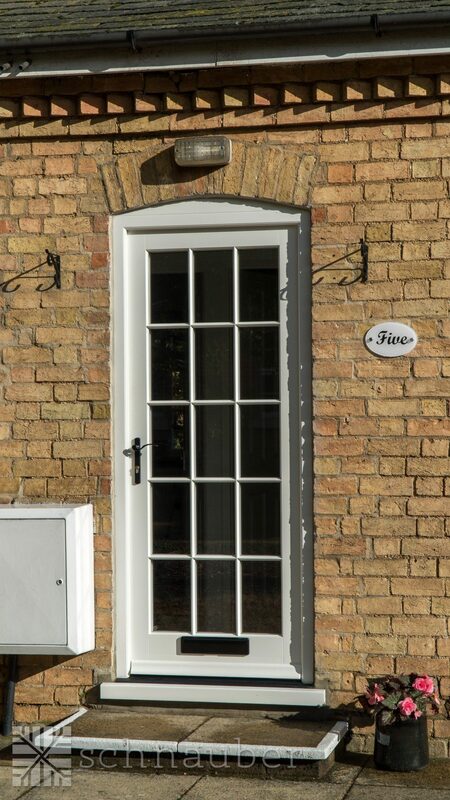 A one point locking system and thin opening sash will make the door unsecure and cold.